So, what’s going on here? Well, the root cause of the two main drivers cited by The Commonwealth Fund is the fact that the United States Health Care Industry is based in the US economy, which is a free enterprise/capitalism economy. Health care service providers take advantage of that fact. You’ll see how technology company marketing and health care service provider pricing behavior, which is consistent with free enterprise, significantly drives healthcare costs. The best way to delve into why these two factors are the main drivers and why other lesser factors are driving health care costs is to use the analysis and conclusions from an article by Don Berwick, MD and Andrew Hackbarth, MPhil entitled, Eliminating Waste in US Health Care published in the Journal of the American Medical Association (JAMA, April 11, 2012—Vol 307, No. 14). 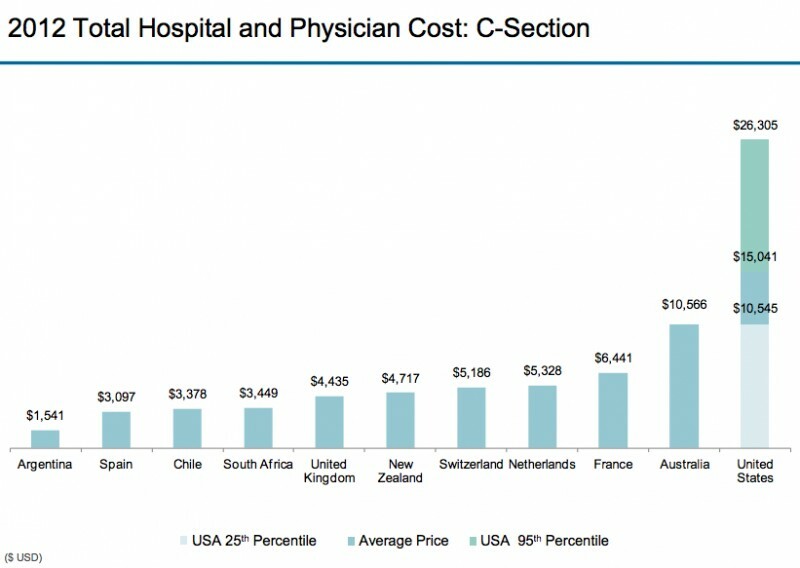 Berwick and Hackbarth categorize excess health care costs into categories of waste. Overuse of technology and high prices are imbedded in those categories, as you will see. Berwick and Hackbarth define this as “the waste that comes with poor execution or lack of widespread adoption of known best care processes.” Notice the emphasis on “processes”. Of course “poor execution” Seems obvious. Someone fundamentally did things wrong, like a surgeon operating on the “wrong side” (e.g., cut off the wrong leg; yes, this still happens) or leaving a sponge or instrument in a person during a surgery (yes, this still happens). It turns out that at least 80% of “poor execution” is actually due to poorly designed health care processes that either don’t prevent human error effects or that create errors of their own. About 20% is due to people either doing things for which they aren’t adequately trained or they are just malpracticing. This “process” orientation, poorly designed processes being the reason for the vast majority of failures in this category, is still a difficult concept to grasp for health care administrators and workers. It’s 2007. I’m at a conference for Medical Directors. The last session before lunch is by a national expert on high blood pressure (hypertension). He stresses the point that for many years now, the national statistics on hypertension have been just about the same: only 50% of people who have hypertension have been diagnosed with hypertension, and, for the 50% who have been diagnosed, only 50% of them have a controlled blood pressure (< 140/90). So, now I’m at lunch and I mention to the fellow on my right that this statistic has been frustrating for many years. He was the Medical Director for the Internal Medicine department of one of the premier medical systems in the US. He said that, last year, he was at a similar conference with a similar hypertension session quoting the same statistics. He said to himself, “I’m the Medical Director of one of the most prestigious Internal Medicine departments in the US. My statistics on hypertension can’t be as bad as that.” So, he returned to his institution and had his assistant pull all of his hypertension patient charts and do the same statistical analysis. He said, “Lo and behold, I had the same statistics! Only about 50% of my hypertension patients had a controlled blood pressure!” So then, he had the entire department do the same analysis. Yes, several dozen Internists. And again, they all had pretty much the same statistics, only about 50% of their hypertensive patients had a controlled blood pressure! “The internist we all believe is the best Internist in our institution and the internist we feel is ‘less skilled’ than the others had the same results, a 50% hypertension control rate!” he said. I’m not sure what he did with that piece of information, but it was interesting that he hadn’t figured that out. 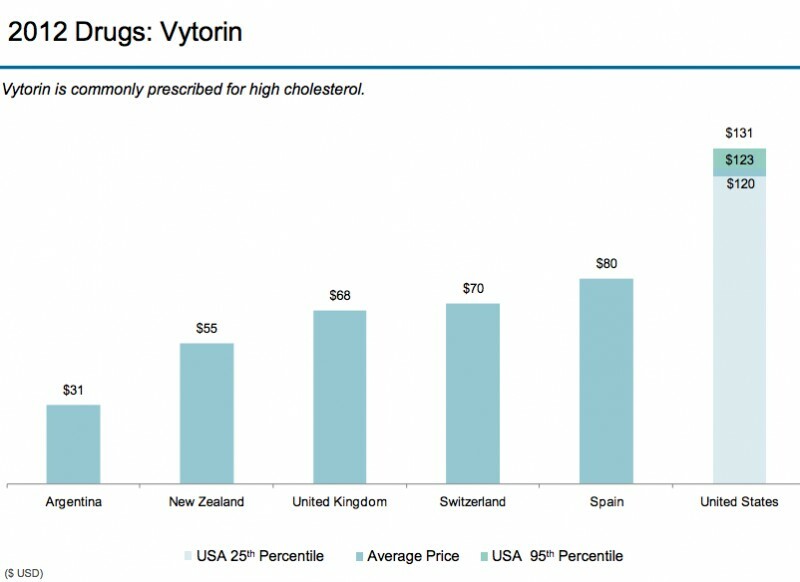 Of course, not controlling blood pressure leads to excess costs for higher incidences of heart attack, strokes, kidney failure, etc. Some patients were misdiagnosed or over-treated because the testing to diagnose and treat hypertension (HTN) wasn’t being followed. This was because some PCPs weren’t taking blood pressures (BP) correctly or weren’t using home BP readings (which have been shown to be more accurate than office BP’s if taken correctly). The standard for office BP is, a BP is taken on admission and, if elevated, taken again at least 10 minutes later, since the act of signing in and being taken into a doctors office can falsely elevate someone’s BP. There was some variation in the cost of the medications being used, up to a 5 fold difference, among physicians because some physicians weren’t following the published guidelines and were prescribing second and third line drugs for people instead of first line drugs. PCPs were referring patients to Cardiologists and Nephrologists before going through the published guidelines. Generally speaking, patients have little knowledge of their condition and what the long-term effects of uncontrolled BP are. There was no consensus or systematic method for having patients come in when they should for follow-up visits. Like, how often should patients with uncontrolled BP be seen? What about controlled? Stable BP patients needed little “care”. Follow-up visits could be done by Advance Practice Clinicians (APC’s) instead of a physician, freeing up physician time for more complicated patients. The team changed the process of care and was able to measure the components. We knew, for example, what percent of a PCP’s patients with initial high BPs got a second BP at least 10 minutes later. We knew if a patient was supposed to come back within 60 days, what percent did. Etc. APC’s saw the majority of patients, spent more time with them. A formal standardized patient education module was administered to every HTN patient. Within 2 years, the BP control rate was 82%! The process redesign had worked. The Medical Group actually got an award for this. Unfortunately, most improvement efforts in health care don’t create impact because they aren’t following effective process improvement methods. Here’s why. First, the medical industry is steeped in a task orientation of improvement and management. The classic way the medical community “changes” something is to have an “inservice” (a classroom type activity that can range from a couple of hours to several days). It’s mostly a didactic session. Sometimes there are some simulations and 30-60 minutes of “practice”. Then everyone is given a binder or a CD-ROM and “certified” and sent out to do what they were “trained” to do. The problem is, that isn’t “training”. And there isn’t any follow-up to prove that the “training” actually worked. There are ways to do this. One is called the Kirkpatrick Model of training effectiveness, to which I subscribe. It has four levels of assessment. Level 1 is an assessment by the participant that the training was well-organized, challenging, etc. Level 2 is, did the participant actually learn something (you do a pre-and post-test to figure this out), Level 3 is, did the training actually change the way they did work, i.e., did the employee retain the information and was he/she using the new way of doing things, and Level 4, was there actually a positive impact on the business results. Training requires daily oversight by an expert until the trainee can do the work correctly. A Medical Director I know once said, “You don’t give a 2 hour 100 slide presentation to an army recruit on how to handle a gun and consider him trained.” They spend hours on the shooting range with a drill seargent. There’s no similar situation in health care. I’m here to tell you that, unless I was running a project and did these four things, they were never used by health care managers or the HR departments that ran the trainings. Consequently, when people left the trainings, they pretty much went back to the old way of doing things. And remember, the way medical systems do improvements is they teach staff a new task, usually without subtracting a task, so, the new task is just more work. Since no one is measuring, there is no accountability. The actual process of care isn’t examined or changed. A hospital had a consultant group come in to train surgeons and OR staff on “Team Training” based on the aviation industry practice. This consisted of a pre-op briefing (what do the staff need to be aware of), a “time-out” before starting surgery where the team ran through a checklist, and a de-brief (what went well, what didn’t go well) after the procedure. The consultant did multiple week-long sessions for all the surgeons and hospital OR staff. Everyone was high-fiving when everyone was “trained” and leaders got kudos at management meetings. Six months later, no one could report on what the adoption rate was and the frequency of “never events” (those wrong side surgeries and articles left in patients) hadn’t changed. The consultants had added three tasks. The process of doing procedures didn’t change. No tasks were subtracted to “make time” for the new tasks. And here is a truism about the “Failures of Execution”. For centuries, medical personnel have fixed things by adding tasks, resulting in a task oriented management system. This is so ingrained, and there is such a lack of process awareness that, even if you send a Lean or Six Sigma consultant in to re-design the process, and the new process is proven to be significantly better then the old one, the managers in the work area aren’t proficient in process management, only task management, so the process degrades back to the old task oriented way. Most managers’ days are executing a list of tasks: scheduling staff, monitoring budgets, managing overtime, etc. not walking the floors and ensuring staff are running the process correctly or monitoring for efficiency or defects. Forget about monitoring a dashboard and acting when a measure performed worse than expected. It’s actually not these poor managers’ fault, since they have never been trained to be process managers. They are kind of victims of the legacy health care management system. The other thing is, management training for new managers in health care is woefully inadequate. Often non-existent. It’s not unusual for a line staff employee to be promoted to a manager with no training, and they never get it. So, care systems and patient safety systems aren’t generally working well in health care. You have dedicated, conscientious workers trying to make do with error prone, inefficient systems by creating “workarounds” that can actually make things worse. In an ER in a hospital at which I had privileges, there was a fellow whose only job was to do workarounds for the processes that didn’t work well. They called him a gopher (he was actually a certified Medical Assistant) and he was held in high regard by the staff because he “fixed” the things that weren’t working. Like, if a department didn’t deliver what they were supposed to on time, he went down to the department and got the stuff and brought it up to the ER. That was his entire job. No one tried to hold the non-performing department accountable. Just add an FTE to do workarounds, who was a hero! Yikes! Another Health Care cost sub-category is what is called Undertreatment. This means, treatments that should be given or should be utilized aren’t given or utilized as often as they should be. Like, vaccines aren’t given when they should be (this is especially true with children). Preventive health maintenance care (colonoscopies, mammograms, cholesterol levels, etc.) isn’t done when it should be. You get the idea. Secondly, sometimes there are practitioner misperceptions (“You can’t give a vaccine to a child with a cold”). Sometimes a practitioner doesn’t believe the test or treatment is useful despite literature data or expert opinion. Sometimes a practitioner just can’t keep track or doesn’t have a good reminder system. At any rate, the patient doesn’t get what they should when they should. That’s Undertreatment. And Undertreatment increases costs because of the cost of treating conditions that could have been prevented or detected early. Most of the undertreatment problems are rooted in process deficiencies. And the blame is placed on the practitioner for not “doing what they should”. But both the practitioner and the patient are victims of the systems operating around them. Ok, enough for this post. We got through Waste Category #1! In future posts, I’ll go through the rest of them. There are six categories of waste. The fundamental health care management system is task oriented, which is a mismatch given most of the problems in Failures of Care Delivery are process oriented. Training in health care is really education, not training, and it is not very effective. 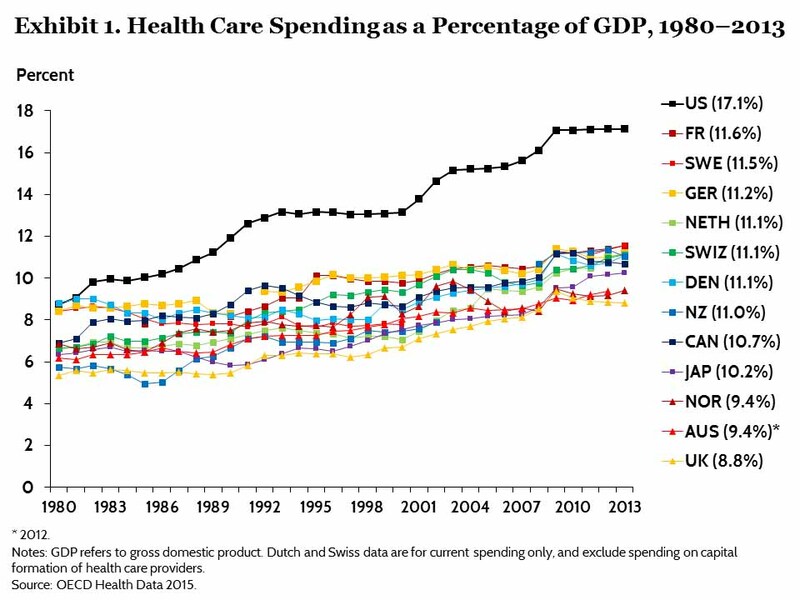 Now, if you haven’t read my post on the fragmentation of the US health care system, you should do that before reading this post any further. It’s under the “General” category called “The Fractured US Health Care System”. The bottom line for fragmented care is, the priorities of practitioners (MD’s, DO’s, APC’s) have caused the largest component of fracturing/fragmenting. There have always been “silos” in health care (referring to monolithic structures inherent in the health care system: Physicians, Hospitals, Ancillary services, Pharma, Device Manufacturers, etc.) since its inception but the true fracturing of the system is the result of practitioners. This fracturing has led to a huge hand-off and communications gap. Like, Grand Canyon huge. Care Coordinators/Case managers are supposed to bridge these gaps. Here’s one of many examples of the hand-off/communication gap. PCP’s often don’t know their patients are admitted to a hospital. Unless the PCP sends the patient from his/her office, they don’t know the patient was sick enough to be admitted. This is because the PCP either sends the patients to the ER or Urgent care when they call with a problem or the patient just shows up there. Then, they get admitted. The hospital has Hospitalists so they don’t need to call the PCP. Remember that PCP’s don’t go to the hospital so they aren’t on the hospital medical staff. If a physician is not on the medical staff they have no access to the hospital electronic medical record (EMR or its notification system). If a hospital system has a medical group, they can message the PCP in their medical group that the patient is in the hospital using internal messaging systems or through a unified EMR. If the PCP is not “owned” by the hospital, they are, 99% of the time, either on a different electronic medical record or still using paper. Some EMR’s that the hospitals use have the ability to connect the non-owned PCP with a “Physician Portal” which is usually a read-only version of the medical record; however, unless a PCP signs on and looks to see if any of their patients are admitted, they don’t know about it. The PCPs we talked to wanted hospital information integrated into their own EMR as they felt it was too much extra time to be signing on to a hospital physician portal (which timed out frequently). I was leading a readmission reduction effort at a hospital system. They had a large Medical Group and the hospital system tended to focus on their Medical Group to the exclusion of the non-Medical Group PCPs. Our analysis showed that 50% of the hospitals’ discharges were to non-Medical Group PCPs. We ranked the non-hospital owned PCP practices by percent readmissions and targeted the top 20 practices. We then visited the practices, showed them their data to the patient level and asked them if they had any ideas as to why their practice had such a high readmission rate. Some of the patients had four readmissions in a 3-4 month time period. The PCP’s unanimously said they didn’t know the patients were even admitted to the hospital, they didn’t get a notification from the hospital that the patient was discharged, and they had no idea whether the patient went home or to a skilled nursing facility or nursing home. One doctor said (exact words), “ I only know what happens to these patients if they eventually make it to an appointment with me or I read their obituary in the newspaper.” In addition, most of the practices said, “You know, if we knew when our patients were discharged, we could have one of our nurses contact them and make sure everything is going OK and give us a status update so we could make sure we see the patient in a timely fashion. It’s part of our nurse’s job.” These PCP offices had “transition of care” nurses! Who knew the patients! And weren’t being utilized! How wasteful is that? The other thing that is problematic is, when the patient gets admitted to the hospital, there is no verbal hand-off between the PCP and the Hospitalist. And when the patient is discharged, there is no verbal hand-off between the Hospitalist and the PCP. The Hospitalists actually say they won’t call a PCP, and since the PCP doesn’t know the patient is admitted, the verbal hand-off at the time of admission can’t happen. When we “old docs” were doing both office and hospital work, this wasn’t a problem. And, back then, if another physician admitted the patient (e.g., the patient was admitted from the ER with appendicitis to a surgeon’s service) the ward clerk always called your office to notify you that the patient was admitted. Repeat… CALLED YOU! Now everyone wants an IT solution. It’s like millenials want to text instead of talk with a smart phone. So, nationally, because of Medicare and the Readmission Reduction program, which has penalties for higher than expected readmission rates, hospitals and health plans are hiring nurses and ancillary staff to “care coordinate” discharges from the hospital. Isn’t this more expensive than a phone call and accessing resources already present in the PCP office? Duplication of resources is a process waste category. OK, now that you have seen but one out of the hundreds of hand-off gaps, back to Care Coordination. Integrated Care Management: The management and delivery of health services so that patients receive a continuum of preventive, behavioral health, curative and long term care services according to their needs over time and across different levels of the health system. (WHO; modified) This requires a combination of Case Management and Care Coordination. Case management: A collaborative process of assessment, planning, facilitation, care coordination, evaluation, and advocacy for options and services to meet an individual’s and family’s comprehensive health needs through communication and available resources to promote quality, cost-effective outcomes. (Case Management Society of America) This requires a level of health care licensure, like, a Registered Nurse or “higher”. Case management has been around since about 1900, and historically was applied to a small number of patients with serious illnesses and complex care needs. Care Coordination: Care coordination is the deliberate organization of patient care activities between two or more participants (including the patient) involved in a patient’s care to facilitate the appropriate delivery of health care services. (Closing the Quality Gap: A Critical Analysis of Quality Improvement Strategies (Vol. 7: Care Coordination)). Unlicensed staff can do this. It is essentially project management. Licensed professionals design a series of steps or activities and a care coordinator tries to make sure they all happen. Care coordinators don’t necessarily give medical advice or apply medical judgment. At the same time an RN or practitioner can be a care coordinator; it’s part of their job description. Care Management: A set of individualized, goal-oriented, culturally relevant and logical steps to assure that a patient receives needed services in a Safe, Timely, Effective, Efficient, Equitable, Patient-Centered and cost-effective way. (Accenture; modified) This is like a “project plan”, which someone acting as a care coordinator can facilitate. “Care Coordination” nowadays is a health care industry “fad” that dominates the thinking of health care systems and has spawned numerous vendors selling care coordination services and supporting IT systems. It is extremely reminiscent of the Disease Management programs that dominated the health care industry in the mid 1990’s and first ten years of the 21st century. Interestingly, there are no significant Disease Management (DM) companies peddling their services or supporting IT systems anymore. Why? They couldn’t reliably show cost savings. Remember, it’s all about the money. If a health care program can’t show some dollars falling to the bottom line, it will eventually be discontinued. If you want to know why Disease Management couldn’t show sustainable results, read Why Nobody Believes the Numbers by Al Lewis. The same thing is happening with Care Coordination. DM companies would come to your offices and show examples where they said they got large health care cost savings. Millions and millions of dollars. So health plans would hire them, run the program and find little or no cost savings. This is because the DM programs measured incorrectly. That’s what Al Lewis’ book is all about. Well, the same thing is happening with Care Coordination results. If you see an article or a vendor offering Care Coordination and they are saying the results are eye-popping, like $84 million savings in two years, you can pretty much bet they aren’t measuring it correctly, because, as you will see below, the real hard data doesn’t support this contention. So, I’m here to tell you that Care Coordination is very similar to the now defunct Disease Management companies. Care Coordination and Case Management (combined called Care Management) programs are major pillars in Population Health programs, are touted as the saviors of the cost and utilization problems of the health care system. Health systems and Health Insurance Plans have hired thousands of, usually, RN’s out of the face-to-face patient care venues to sit at computers and, mostly, telephonically “care coordinate” selected patients (or members/beneficiaries if it’s a health plan). Problem #1: This mass hiring of nurses has exacerbated the nursing shortage in hospitals and outpatient caregiver arenas. Problem #2: The cost savings are paltry compared to other interventions to reduce costs. And the activity adds dollars to the administrative costs, which are already too high. Problem #3: Case management and care coordination have shown very limited impact on utilization and quality improvements. “Though attractive, this notion is not evidence-based. Studies of programs or practice models designed to enhance coordination and management of care for patients with multiple conditions and multiple providers have shown minimal, if any, consistent savings. So, according to these two experts (who have plenty of supporting evidence), the health care world is spending a lot of money to get, well, not much. All the other waste categories have, like 10 times the savings opportunity! Here’s a graph from the Berwick and Hackbarth article showing this. Notice how thin the Care Coordination stripe is. I suspect you would get more bang for the buck if you re-deployed these nurses to do more face-to-face caring for patients integrated with PCP and Specialty practices. This is just my suspicion. No one’s doing it so I don’t know of any credible data. And then there is the persistent focus on care coordinating high cost cases. This is a sacred cow promoted by the health care finance departments that should be slaughtered and made into steaks and hamburgers. Yes, the CFO’s of the health care industry are telling health care professionals what to do. They have been so forceful, persistent and vociferous that the rest of the industry has been totally brainwashed into thinking, as in the words of gangster Willie Sutton, “that’s where the money is.” [Just an FYI, the finance departments, supported by the MBA-type health care industry administrators, are the real authoritarians in health care institutions. What they want, they generally get. They ignore the medical professionals telling them they are wrong. They don’t really care about anything but the bottom line being black. No, that’s not right. They want to meet their profit margin projections. I’ll be doing a post totally dedicated to this phenomenon. They generally view the medical professionals as a necessary evil they have to manage.]. Here’s why this high cost case management myth exits. As claims (A claim is a bill sent by a health care provider to an insurance company. When it enters an insurance company it is re-named a claim.) come into the insurance company, it gets “credited” to the beneficiary. When the dollar amount of the claims reaches a pre-determined amount, it is placed on a high cost case list. Usually, the amount is between $50,000-75,000. This list is generated often, usually weekly if not daily. The finance department wants this list “worked” and wants the Medical Management staff to do something to limit any further claims coming in. They think there is definitely something that can “stop the hemorrhage” of dollars. You can’t imagine the panic, shock and anger the finance people display if you can’t, as medical professionals, stop the claims from coming in. And, the finance people have absolutely no understanding of what clinical courses the patients are going through nor do they have any evidence that something material can be done about the costs of these cases. They just want what they want….fewer claims. They want you to deny care, for example. A denial means no cash out. Instant savings. The high cost cases are usually catastrophic cases. Major trauma. Neonates (premature births) with major complications. Conditions like sepsis, cardiogenic shock, respiratory failure, which include multiple organ failures. These people are in ICU’s and are usually not in any condition to be transported. Their costs can run up to a million dollars. Finance folks literally freak out over these cases. You’ll hear and read statistics like 10% of the populations spends 50% of the health care costs. Yes, that’s true. But, I’ll show you why that statistic can’t be changed much. Because THERE WILL ALWAYS BE A TOP 10%!!! 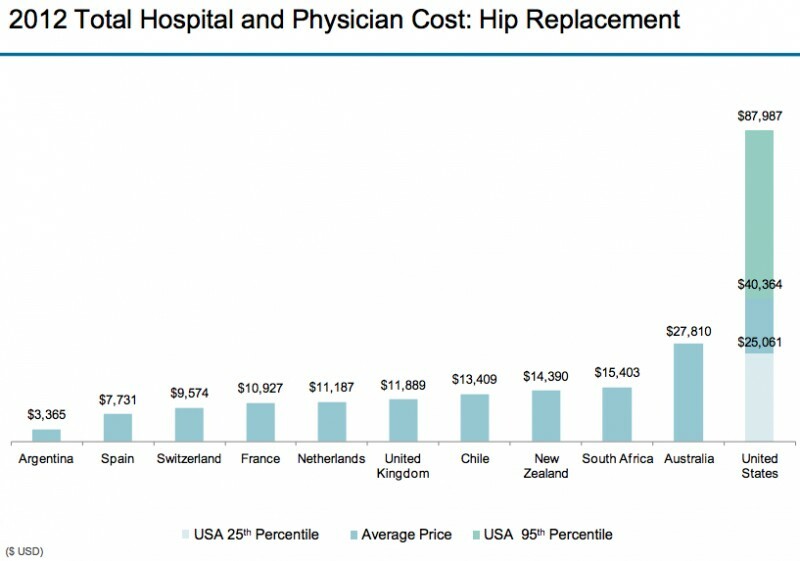 Just because the top 10% cost cases spend 50% of the health care dollars doesn’t automatically translate that you can save anything by focusing on these cases. It turns out, there is little you can do for these folks. They are incredibly sick. Your best option is to broker a better case rate with the hospital and deploy a case manager to urge (not make) the medical staff to move the patient along the care course as quickly as the patient’s condition will permit and create an excellent discharge plan. In the early 1990’s a really smart physician named Richard L. Doyle, MD analyzed hospital data and noticed significant variation in hospital utilization rates for the same conditions among several hospitals where he was working. He developed guidelines for inpatient conditions that supported the treatment of patients according to their physiologic status. These were originally called Milliman and Robertson Care Guidelines and are now called MCG guidelines. You can Google this. One thing Dr. Doyle stressed was, don’t spend a lot of time on the exceptionally sick patients. Do what you can to facilitate their care, but, you won’t see significant cost savings from that activity. What he stressed was making the care of the routine, high volume cases as efficient and appropriate as possible; that’s where the money is. Shave a few hundred dollars off of hundreds of cases and you saved hundreds of thousands of dollars. I’ve actually done analyses on populations of people and shown this to finance people, but they never listened. The savings basically look like a bell curve with the seriousness of the illnesses on the X-axis and the savings on the Y-axis. The low-serious cases have low savings because these people aren’t very sick, spend little money and get better quickly. The upper end of the curve is low savings because they are relatively small numbers (remember only 10% of the population) and there isn’t much you can do to affect their clinical course. It’s the middle 40% or so where the volume is high and you can actually alter their clinical course by mitigating overtreatment and reversing under-treatment where you get savings. I actually have real data in bubble graphs that prove this. It supports Dr. Doyle’s contention. No finance person would acknowledge this data. I was in one health plan where the VP of Medical Affairs wanted to stop working the high cost case list because the administrative cost for working the list was at or slightly more than the savings. Alas, the Finance folks got their way and she was ordered to keep working the list. Stopping was heresy. 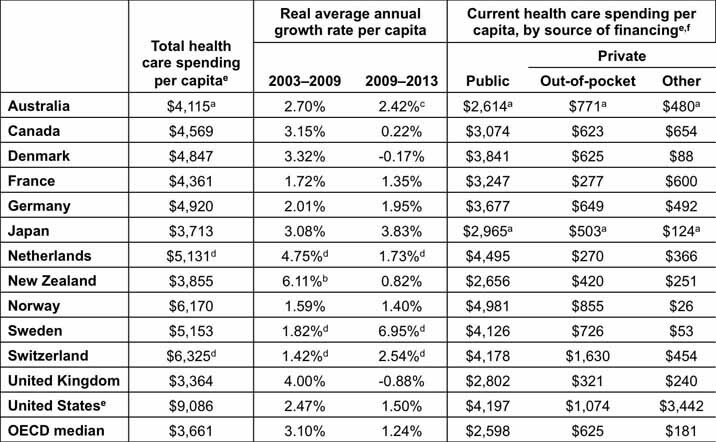 The other thing I saw in the data was, most of the people in the top 10% cost strata one year were not in that strata in the next year AND THERE IS STILL A TOP 10% SPENDING 50% OF THE HEALTH CARE COSTS!! Here are the reasons: 1. The person died, 2. The person had a self-limited catastrophic event (a health attack, a car accident, a severely premature infant who is now home, etc. ), 3. There is a residual (minority) of really sick people who are still in the top 10% and spending money because they need the care (like cancer patients). The next year has 10% spending 50% because there are new cases of self-limited catastrophic events or people so sick that they are dying. The real trick is to work on that 40% to limit the catastrophic cases with pre-emptive activities instead of “beating a dead horse” who has already left the barn. You have no idea how many times and in how many companies I showed the finance people this information. But they were still persistent and vocal and perennially complained to the “Administration” about the lack of effectiveness of the Medical Management departments in reducing the cost of top 10% cases through “managing” them. They still don’t understand that this is like playing “Whack-a Mole”. But, again, don’t just take my work for it. Here’s the graph about this. It is similar to what I had seen for years. Notice the really small red section at the bottom of the bars. Those are the ones who are year over year in the top 10%. Most of the rest of them disappear from the list. Here’s another validating article: “Focusing on High-Cost Patients — The Key to Addressing High Costs? by J. Michael McWilliams, M.D., Ph.D., and Aaron L. Schwartz, Ph.D., New England Journal of Medicine, March 2, 2017. “Targeting patients with high spending may not effectively target the spending that should be reduced. Longitudinal patient specific investments that are important for coordinating care and improving quality may be less important for curbing wasteful spending. Here’s a third article validating my assertions about high cost cases. I actually had a consultant tell me I didn’t know what I was talking about, that I didn’t “get it”. He specifically emphasized managing End of Life Care patients in the top 10%. Google this article and read it, it’s an exhaustive data-based study saying virtually the same thing as above. The article is: The Myth Regarding the High Cost of End-of-Life Care by Melissa D. Aldridge, PhD, MBA, and Amy S. Kelley, MD, MSHS, American Journal of Public Health, December 2015, Vol 105, No. 12, p. 2411. Again, with high cost cases you do what you can to get the best price and urge or assist the caregivers to be efficient, but the cost savings are minimal for high cost cases. And this finance proposed activity just increases administrative costs. Maybe soon, health care administrators and finance folks will realize that care coordination and the high cost case focus aren’t the cost savers they think they are, will reduce the number of care coordinators and case managers, let the nurses get back to directly caring for patients (maybe in ways that are not traditional), focus on that middle 40% of chronically ill patients who need their care optimized at the primary care/specialty care level, re-design wasteful care process structures and work on optimizing the other five waste categories. Right now, that’s a hard sell. Now, there are some benefits to care coordination. They are its direct impact on the patient. It may improve their quality of life. It may simplify their condition management regimen. It might reduce a patient’s out of pocket costs. It might improve their feeling of well-being. But it doesn’t significantly bend the medical cost curve, if it bends it at all. Care coordination does little to improve patient outcomes, quality measures, utilization and costs. Current Care Coordination activities divert the nurse and practitioner work force from direct caring of patients to working on an activity with limited impact, exacerbating nurse and practitioner shortages. Focusing on high cost cases does not save a lot of money and distracts caregivers from optimizing the care of patients with chronic illnesses and poor health status. Care coordination may have a positive impact on individual patients felling of well-being. There is no good data I know of that proves this. 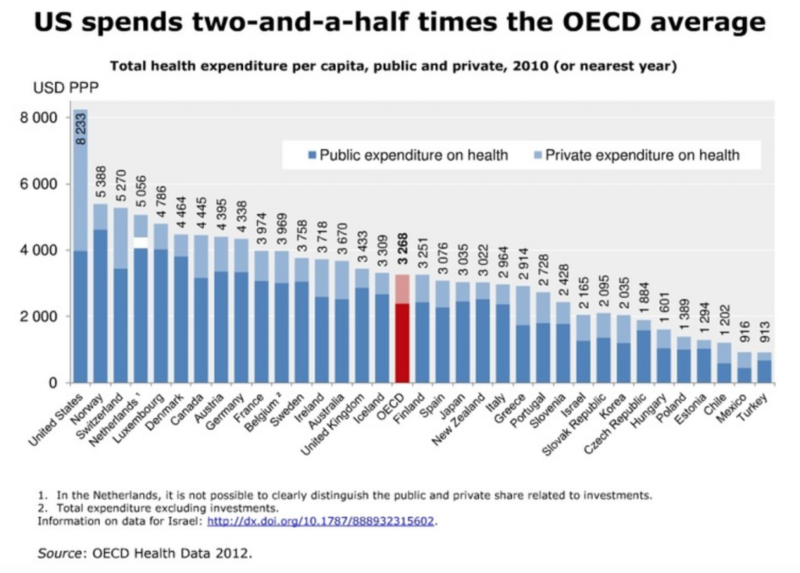 This post is about overtreatment, one of the waste factors driving health care costs in the U.S. (Eliminating Waste in US Health Care, Berwick and Hackbarth, JAMA, 2012). Yeah, those stupid people who had to go to college, get excellent grades, pass a stiff entrance exam, learn a ton of stuff, graduate from a post-graduate school like a Medical School, obtain a doctorate level degree and spend 3-5 years in on the job training before going out in the world to practice! Why can’t they just get in line!! This, is spoken by guys with Bachelor’s degrees or maybe a Masters degree that has no clinical content and they have no clinical experience. Especially those Finance guys who have all the power and who are never and have never been in an exam room with a patient! But, I’m not bitter about it…. In the land of truthsabouthealthcare.com, here are some of the major categories driving overtreatment. Practitioners are taught their utilization behaviors while in training. There has been literature out there for about 20 years showing where a physician trained creates long lasting impact on what they order and how they take care of patients. Even when a physician moves away from where they were trained, their academic center’s utilization pattern persists. 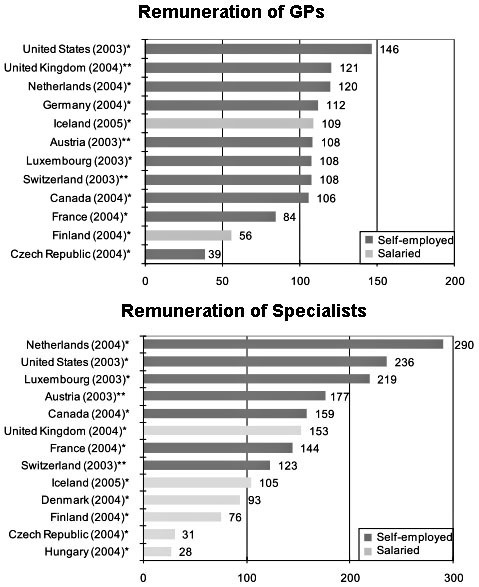 Practitioners are influenced by their peers and the specialists in their region. Jack Wennberg, MD from Dartmouth (the originator of the Dartmouth Atlas) saw this with his first small area analyses in the 1970’s where the rate of procedures in one state were drastically different from another state without a difference in burden of illness in the population. Sometimes only one county in a state drove the over treatment statistics for the entire state. I can personally attest to these first two factors. These first two can actually drive underutilization as well, so I am going to include stories about both over and under-treatment. Here are the stories. I trained at a very prestigious Medical School and Training center in the last half of the 1970’s/first half 1980’s. There were two things that were “banged into our heads” related to two chronic conditions that, we were taught, were best practices: 1. Following a diabetic person’s A1c level 4 times a year, especially if their disease wasn’t controlled, and 2. Any asthmatic person who used more than one rescue inhaler (albuterol) a month must be prescribed a controller inhaler (at the time only corticosteroid inhalers were available). So, for every diabetic in my practice, they got A1c’s on a regular basis and I would only prescribe a new or “problem” asthmatic one month’s supply of a rescue inhaler (until I knew them to be trustworthy) so I could keep track of how often they needed a refill. If it was less than a month, I put them on a steroid inhaler. I graduated training in 1982. In 1993, I became the Medical Director of a Physician Group Practice in New York. I was at a monthly Internal Medicine meeting and had some data showing that their diabetic population’s blood sugars were not well controlled and they had a paucity of orders or completed blood tests for A1c’s for these patients. To the one, they said that an A1c was a useless test to the point that one Internist actually pounded his fist on the table saying he wouldn’t order a useless test. I had to recruit an endocrinologist and collect a pile of medical literature articles to convince them to start ordering the test. In 1996, I took over a practice in the same area in New York that had only consisted of two physicians assistants (PA) who were supervised by a hospital’s emergency department physicians who never went to the PA’s offices to see patients or even talk to the PAs except over the phone. Their diabetics were not well controlled. They had never ordered an A1c. When I asked them why, they said the ER physicians told them it was a useless test. Same region, same perception. Getting A1c’s is a standard of care for diabetic patients…look it up. So, here, the regional perception resulted in underutilization that resulted in undertreated patients resulting in increased complications and, likely, higher medical costs. Here’s the asthma story. I told you above how I managed asthmatic patients. I hardly, if ever, had one of my asthma patients present to the emergency room with a bad asthma attack. I had the moderate to severe patients on steroid inhalers, I had nebulizers in my office, I had IV steroids in my office. I saw them in my office if they had an exacerbation, and treated them there, which wasn’t often. This was how I was taught to treat asthma in the late 1970’s, early 1980’s. In the mid-1990’s, asthma care began to emerge as a problem, the most notable issue being patients weren’t being put on controller meds (i.e., steroid inhalers) when they should be. They were being managed with rescue inhalers only, i.e., overusing rescue inhalers. This sparked a nation-wide effort to improve the use of controller meds in asthmatics. Health Plans adopted Asthma Programs, hired Disease Management companies, etc. Lots of dollars spent on this. This surprised me because of the intensity of the messaging we got in training (where I trained) about putting people on controller meds. It’s 1996. I’m in that practice with the two PA’s. I was on “service call” (you know, when we old docs were still admitting our patients to hospitals and had to “pay back” the hospital by taking patients whose doctors didn’t admit to that hospital or were unavailable, like they were on vacation and didn’t have a call group to cover for them or they were ambulatory only physicians). I got called to the ER for a patient who was having a serious asthma attack. And, boy, was she! She was a 20 year old, really bad blood gases (O2, CO2 in her blood), had a fever, elevated white blood cell count. She was so sick I had to admit her to the ICU (which had no Intensivists, you had to take care of your own ICU patients). She tested positive for Legionnaires disease. As part of my admission history and physical exam, I did as detailed an asthma history as possible. Her story was terrible. She, for several years, had been home bound because of severe shortness of breath. She had never been on a controller medication, only a rescue inhaler (albuterol). She had never had oral steroids prescribed for her. Basically, she was a severe asthmatic on minimal medical treatment but over using albuterol, multiple inhalers a month. I managed her for almost a week in the hospital and discharged her on a pulse of oral steroids, then a steroid inhaler and her rescue inhaler. I saw her in follow-up frequently at first, then spaced out her appointments because she was doing well. At her six-month visit, she and her mother came in in together. They were astonished by the fact that this young woman was now leading a normal life, going out doing whatever she wanted, never short of breath. They thought it was a miracle. It wasn’t, it was maintaining the proper treatment. This was 14 years after I graduated training. Again, a net under-treatment (she was being over-treated with albuterol), but the phenomenon is the same for over-treatment. This was a national problem that should have been solved in 1980. Weren’t any other medical training centers banging this treatment protocol into physicians’ heads? Was my academic center an outlier? It seemed odd to me. Here’s an example of regional overtreatment. Between 1990 and 1993, I was in a Medical Group in Minnesota. They were capitated (paid a lump sum per patients per month instead of a fee for each service). Anytime I wanted one of my patients to have a cardiac stress test, I had to fill out a requisition that included why I thought the patient needed a stress test. If the cardiologist couldn’t align my thinking with the cardiology guidelines for the test I ordered, he would call me for clarification. If we agreed with the indication, the patient got the test. If not, we agreed on the right course of action according to guidelines and the specifics of the case. This was especially true for Thallium (radionuclide) stress tests where a patient got an injection of a radioactive material that would be imaged with a scanner. We did very few Thallium stress tests in Minnesota, as getting a Thallium stress test had more specific indications that a “standard” stress test (the exercise part only). I moved to New York. The cardiologists in the region where I practiced were advising that every stress test candidate should get a radionuclide stress test, a standard stress test wasn’t good enough. They used sestamibi (Technetium-99), a similar radioactive material to Thallium. Additionally, they wouldn’t do the test unless the patient came to their office for a pre-stress test cardiology evaluation and the patient had to also have a post-stress test visit to go over the results (which were already reported in a paper report, like an X-ray report, with the cardiologists interpretation). It would be like a radiologist wanting a pre-chest X-ray or pre-CT-scan visit and a post-chest-X-ray or post-CT-scan visit for every Chest X-ray and CT-scan they did. Imagine the costs for this. And totally unnecessary. Well, these patients were being dramatically over-treated! 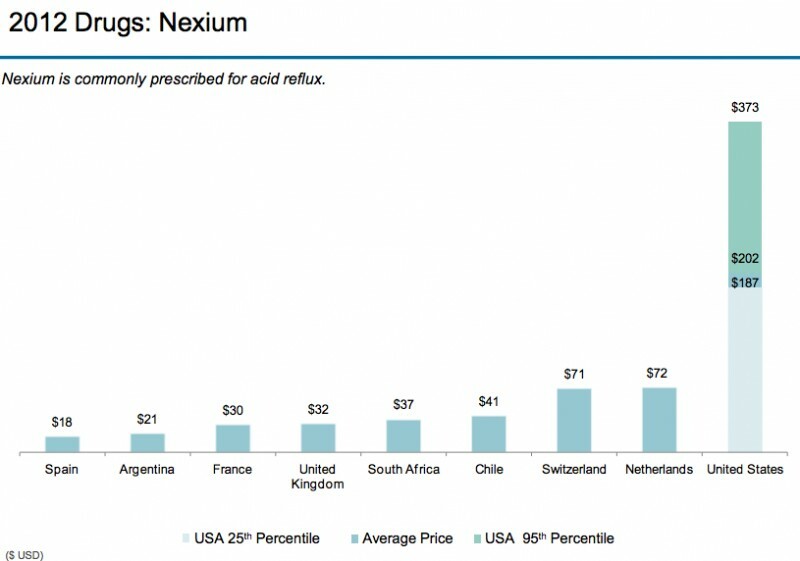 And the costs were incredibly high for stress tests in that region, because they convinced all the PCPs that this was the best treatment for their patients. Did I mention that the cardiologists owned the sestamibi scanner? And PCPs are often unwilling to challenge a specialist. I actually had a PCP tell me he did whatever a specialist told him to do with patients because he could never challenge a specialist since the specialist knew more about their specialty than he would ever know. My philosophy was, it was my job as a PCP to make sure specialists were following their own specialty’s guidelines. You have no idea how many times I cought a specialist not following his/her own specialties guidelines. More on this later. About every 10 years, some PhD-type does an analysis of the medical literature for validity. Generally speaking, their conclusion is about 70% of articles don’t prove (or disprove) what they say they are proving. First you have to sift out any article that is sponsored by a drug or device company. This is because a drug or device company sponsored article never shows a neutral or negative result. They suppress those articles and only publish articles with positive results, even if the research is terrible, which it often is. They will actually stop the research if the preliminary results are negative. Secondly, most studies are flawed. When researchers do what is called a “meta-analysis” (this is where a researcher gathers all of the articles on a subject and tries to see if they can statistically prove whether something works or not) a common conclusion is, there is no valid result or recommendation because the research on the subject is so bad, even combining their data doesn’t actually prove whatever it is studying does anything. Either the statistics are bad, the study design is flawed, or the study didn’t have enough “power” (e.g., not enough patients in the study to reach statistical significance), etc. “Limitation: Heterogeneous interventions and outcome measures; poor-quality studies with uncontrolled designs. Unfortunately, the media, not knowing anything about study design or biostatistics, reports to the public the results of these flawed articles that actually prove nothing and people panic over them. Estrogen/progesterone therapy for post-menopausal women (HRT; Hormone Replacement Therapy). In the 1990’s “the studies” showed that every post-menopausal women should be on estrogen (and progesterone if they had a uterus) because it prevented breast cancer, heart disease and strokes. Some folks considered it malpractice to not prescribe HRT. In 2002, a large study came to the exact opposite conclusion (and all studies since). HRT caused heart attacks, strokes, blood clots and breast cancer. Suddenly, it was considered to be malpractice to prescribe HRT!! I can’t tell you how many women to whom I prescribed HRT in the 1990’s. I’m always wondering if that act killed any of them. Statistically, it must have. It is horrifying for a physician to think he or she has killed someone! To show you how some specialists never give up on a treatment they became invested in, in 1999 I was a Medical Director for an HMO in Michigan. Two months after the new research discrediting the HDC/BMT treatment, I got a request from the University of Michigan to approve a “tandem” HDC/BMT for a woman with metastatic breast cancer. A tandem HDC/BMT is when you do two in a row. Given the recent revelations about HDC/BMT, I denied the request. The U of M requested an expedited appeal to the state HMO review board using the argument that just because one HDC/BMT killed women more than usual care without better outcomes, you couldn’t say doing two in a row wouldn’t be better (really, this was their argument!). In Michigan, when an appeal is expedited, the board chooses several physicians from the specialty within which the procedure resides, in this case oncologists, to determine if the denial should be overturned or not. The expedited appeals panel of oncologists overturned my denial and we had to cover this highly experimental and likely dangerous procedure!! No one does HDC/BMT for breast cancer anymore! Are you still wondering why physicians are wary of the “science”? Oncologists killed dozens of women based on poor science. Here’s a link to a recent Perspective article in JAMA Internal Medicine about the same thing related to PSA testing (“No Wonder No One Trusts Us”; JAMA Internal Medicine, July 24, 2017). The physician author describes trying to explain to his 20 year patient that the guidelines for PSA testing have changed…again! “Science” equals “Guidelines”. Specialty societies publish guidelines, which are interpreted by folks like Berwick and Hackbarth to be “the science”. The truth is, only about 20% of guidelines have any basis in science (because of the reasons above). The remaining 80% is tantamount to “expert opinion”, which is based on a physician’s experience and personal interpretation of the available literature. It is inherently biased. Plus, a significant (up to 80% depending on the specialty) of the physicians on the specialty committees promulgating the guidelines have financial ties to drug and device companies. Another huge bias. I actually had a physician who was on a specialty guideline committee tell me that one of the major elements of the guideline was passed (even though the majority of the committee said there was no evidence supporting it) because one physician on the committee badgered each committee member so much (including at meals, on breaks, etc.) that they included it just to get him off their backs!! So, physicians will say they know as much as “those guys on the committees” and they have their own “expert opinion” which is just as good. When I was in Ann Arbor Michigan, I had specialists tell me the recently released guidelines by their own specialty were wrong, that they knew better than their own Specialty’s guideline committee and would be treating patients differently from the guidelines. To my face! Patients’ cases aren’t cut and dried. The pundits, administrators and finance folks think dealing with patients is like dealing with spreadsheets. They also don’t see the variation in patient presentation that deviates from the cleaner presentations in guidelines and research articles. For example, one of the first things in a clinical research article is the “patient exclusions”. They exclude so many patients they end up with a very narrow stripe of the population. It’s like a “pure” population that only exists in research studies.The expectation is, you then apply the recommendations (based on this pure narrow stripe) to all patients. Doesn’t that seem odd to you? Check out this article to see what I mean; “Injurious Falls and Syncope in Older Community-DwellingAdults Meeting Inclusion Criteria for SPRINT”, JAMA Internal Medicine Published online July 17, 2017. The community dwelling population had five times the falls and syncope than the SPRINT study population. In addition, the results are based on the average outcome when even this pure population has a bell curve distribution of outcomes. Here’s how this plays out. Imagine a study trying to prove that a drug reduces blood pressure. On the right side of the bell curve people have no reduction in their blood pressure and they have adverse effects (meaning a non-blood pressure related adverse effect like nausea or a rash). On the left side of the bell curve people have big reductions in their blood pressure and little adverse effects. At the middle of the bell curve (the average) there is a modest reduction in blood pressure and a modest number of adverse effects. The drug gets approved. A physician will give the drug to three patients. One has no blood pressure reduction despite dose escalation and has a bad adverse effect, one has what the research reported, modest blood pressure reduction and a minor adverse effect, one will have a terrible drop in blood pressure causing fainting and no adverse effect (you would consider a dose reduction in this patient). Physicians see the bell curve, not the average, and the end of the bell curve that impacts their memory and behavior the most is the one within which the patients they’ve treated had the failures where patients get hurt, have a bad outcome (even if this happens only once in their practice). So, then, they “err” on the side of mitigating the bad outcome side of the bell curve, i.e., they treat patients assuming they are likely to be on the bad side. They don’t see the adverse effects of their actions, as those are either delayed or require looking at the outcomes of thousands of patients (they only have 1500-2000 people in their panels of which only a fraction have the illness in question). For example, this is what happens with antibiotic prescribing. All the practitioners know you shouldn’t prescribe antibiotics for a cold, but they do when the presentation isn’t completely classic for a cold (the average presentation). Any additional symptoms signal a potential for a non-viral component to the illness (the bad side of the bell curve) where the patient’s status could worsen and result in a serious infection. And the non-viral components are rarely detectable with a test on the spot, so they can’t prove they were right. So, thinking they are acting in the best interest of the patient with the information at hand, they prescribe an antibiotic (i.e., they are avoiding a serious infection). It’s easier and faster to do something than persuade a patient they don’t need something. Two things drive this: 1. Practitioners think patients want things even if they don’t ask and, 2. Patients specifically ask for things. If a physician feels pressured for time, they are tired (or both), or they want to please their patient and not lose patients, they will prescribe things they know they have no good data to support prescribing. I’ve had physicians in medical groups tell me they give the patient what they want because the administrators are yelling at them about their patient satisfaction. One of the largest volume of patient complaints is the doctor didn’t give the patient what they thought they should get. I led a project to reduce antibiotic prescribing for viral illnesses in a medical group and the volume of patient complaints about not getting an antibiotic spiked. There is actually literature that shows that practitioners prescribe more antibiotics for colds later in their clinic sessions than at the beginning. They “get behind” and they are getting tired and just want the session to end. There is also literature related to the power of patient requests on the behavior of practitioners. This is why drug companies are paying billions for Direct-To-Consumer advertising. The patient comes in asking for the drug. It’s been proven to be an effective strategy. It is financially beneficial to the practitioner to over-treat. This phenomenon is so well known and prevalent that there are laws about it, the Stark Laws. But the Stark Laws only cover a minority of this problem. Remember, in the end, it’s all about the money. There’s a saying in the medical world: Send your patient to a surgeon and you can just about guarantee they will get a surgery, whether they need it or not. Surgeons hate to say you don’t need a surgery. There was actually an opinion article in a prestigious surgery journal appealing to surgeons to NOT do surgery, that saying someone doesn’t need surgery is just as important as doing a surgery. However, this is still really hard for surgeons to do. I’ve talked to dozens of surgeons about this. Their desire is to be in the OR and avoid office hours as much as possible. It’s not just surgeons. Remember the cardiology example from above? They were generating high cost office visits and they owned the sestamibi machine. It’s not a leap to understand why they wanted all patients to get sestamibi stress tests. Even PCPs are doing this. I can give you examples of PCPs who buy machines (X-ray, lab, etc. 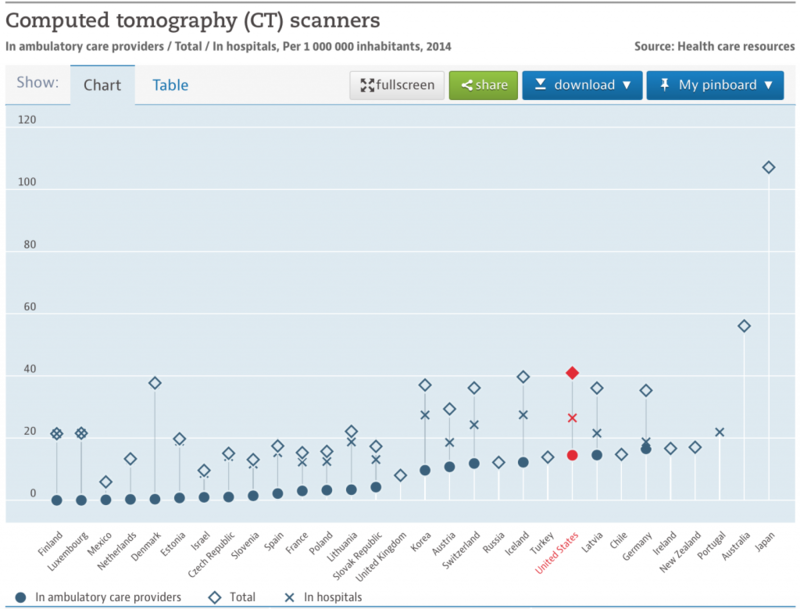 ), even including CT scanners, which they over-utilize to make a profit. Or they have incorporated services like Physical Therapy into their office environment and refer their patients to these services. This is all over-treatment. And about the money. The bottom line is, the pundits like Berwick and Hackbarth, the administrators and the Finance folks make mitigating overtreatment seem simple when it isn’t. And I’m only scratching the surface with the above reasons. It is really complex. There’s a new reliance on the Electronic Medical Record. They put in “alerts” that pop up to ask practitioners if the test or treatment is really necessary, sometimes even summarizing the literature. But there is this phenomenon called “alert fatigue” where practitioners ignore them after a while. So there hasn’t been a major improvement through the use of the EMR. There is one article where a medical group placed alerts in the EMR and they gave practitioners a monthly report on their antibiotic use for colds. They saw a 30% reduction in antibiotic use for patients with a diagnosis of a cold (now, you have to be a little careful with data like this because all a practitioner has to do is change the diagnosis code from “cold” to something bacterial sounding to get a reduction in inappropriate antibiotic use but the actual reality remains the same) for three years. They decided that was long enough to instill a permanent change in thinking in the practitioners’ minds so they stopped the reporting. Eighteen months later, the inappropriate antibiotic prescribing rates were back to before the interventions (alerts and reports) started. This suggests getting a permanent change is complex. Don’t administer steroids after severe traumatic brain injury. Don’t obtain imaging (plain radiographs, magnetic resonance imaging, computed tomography [CT], or other advanced imaging) of the spine in patients with non-specific acute low back pain and without red flags. Don’t routinely obtain CT scanning of children with mild head injuries. Don’t routinely screen for brain aneurysms in asymptomatic patients without a family or personal history of brain aneurysms, subarachnoid hemorrhage (SAH) or genetic disorders that may predispose to aneurysm formation. Don’t routinely use seizure prophylaxis in patients following ischemic stroke. None of the above affects a neurosurgeon’s revenue. Don’t perform preoperative medical tests for eye surgery unless there are specific medical indications. Don’t routinely order imaging tests for patients without symptoms or signs of significant eye disease. Don’t order antibiotics for adenoviral conjunctivitis (pink eye). Don’t routinely provide antibiotics before or after intravitreal injections. Don’t order computed tomography (CT) scan of the head/brain for sudden hearing loss. Don’t prescribe oral antibiotics for uncomplicated acute tympanostomy tube otorrhea. Don’t prescribe oral antibiotics for uncomplicated acute external otitis. Don’t routinely obtain radiographic imaging for patients who meet diagnostic criteria for uncomplicated acute rhinosinusitis. Don’t obtain computed tomography (CT) or magnetic resonance imaging (MRI) in patients with a primary complaint of hoarseness prior to examining the larynx. None of the above affects a Otolaryngologist’s revenue. Don’t perform computed tomography (CT) surveillance for evaluation of indeterminate pulmonary nodules at more frequent intervals or for a longer period of time than recommended by established guidelines. Don’t routinely offer pharmacologic treatment with advanced vasoactive agents approved only for the management of pulmonary arterial hypertension to patients with pulmonary hypertension resulting from left heart disease or hypoxemic lung diseases (Groups II or III pulmonary hypertension). For patients recently discharged on supplemental home oxygen following hospitalization for an acute illness, don’t renew the prescription without assessing the patient for ongoing hypoxemia. Don’t perform CT screening for lung cancer among patients at low risk for lung cancer. None of the above affects a Chest Physician’s revenue. Avoid the routine use of “whole-body” diagnostic computed tomography (CT) scanning in patients with minor or single system trauma. Avoid colorectal cancer screening tests on asymptomatic patients with a life expectancy of less than 10 years and no family or personal history of colorectal neoplasia. Avoid admission or preoperative chest X rays for ambulatory patients with unremarkable history and physical exam. Don’t do computed tomography (CT) for the evaluation of suspected appendicitis in children until after ultrasound has been considered as an option. So, only 2/25 recommendations above actually affects the specialists’ revenue, or 8% of recommendations for these five specialties. Get the point? You don’t see these guys telling themselves to reduce or stop doing procedures they do. It’s usually someone else’s services. But, then again, it’s all about the money. OK, enough for now, this is getting way too long. See you in the next post! Before we get into the specific pieces of technology, here’s some background information. Back in “the day” (before 1990) Medical Students and Interns and Residents in training were trained differently. CT scanners started to be installed in hospitals in the mid-1970’s but were very rudimentary (for example, until the early 1980’s you could only do a CT scan of the head because the speed of the CT scanners were so slow that any movement, like breathing, would blur the image). It wasn’t until about 1985 that most parts of the body could be scanned. The first MRI machine came out in March of 1980 and its dissemination took about ten years. So, before 1990, a doctor had to rely on looking at the patient (history and physical exam), analog x-rays, and blood/fluid tests. After 1990, Med Students and residents began to rely on the emerging technologies to “examine” the patient. Kind of like Dr. Leonard McCoy (Bones) on Star Trek who used a tricorder (hand held diagnosis device) and the electronic headboard in the Starship Enterprise. Touching patients, feeling for abnormalities, observing patients and talking with patients started to take a back seat to CT scans, MRI scans, and more diverse and available blood tests. Admixed with this was the advent of the Electronic Medical Record (EMR), which recent studies show, has reduced the time practitioners spend with patients. The most recent article showed a practitioner spends 50% of their time actually seeing patients and the other 50% of the time “on the EMR” either reviewing information or messaging patients and other practitioners, while spending the same amount of time in their offices. Main result, much less patient contact time. There was a patient in the hospital who had several conditions. One was an infection, so the hospitalist team started the patient on antibiotics. The patients’ white cell count came down but he continued to run a fever on the fourth day in the hospital. The hospitalist team did another fever workup and added another antibiotic. After three more days, the patient still had a fever. Stymied, the hospitalist team requested an infectious disease (ID) specialist consult. The ID specialist, who was my age (that is, an “older guy”), reviewed the record (which showed a sustained linear fever without much fluctuation), talked to the Hospitalist, and then did a history and physical (which was unremarkable for findings of an active infection). But the key observation was, the patient was sitting up, smiling, looking perfectly normal, not complaining of anything. To the ID Specialist, this was a dichotomy. But, he had seen this many times before, because he had spent so much time with patients. His diagnosis was a drug fever, most likely from the antibiotics. The patient was taken off of his antibiotics and his temperature was normal within 36 hours. He blamed the hospitalist team’s “atrophy of observation” as the cause of this patient’s extended stay and the cost of the ID consult. They were stuck in the EMR temperature chart and not looking at the patient and processing what he looked like. So, because of the combination of the “I can get a test to figure that out” thinking instead of “touching, listening, feeling”, and the reliance of the EMR, practitioners are now “addicted to the test” and not paying attention to YOU! This has resulted in increasing usage of CT and MRI scans. Why take the time to examine someone? I can get an image! The problem is, not all things can be seen with a scan. You can’t see bacteria circulating through a patient’s system. You can’t see something that is “functional”, only “anatomic”. I can’t tell you how many times I’ve seen the younger generation doing a test when there was an obvious physical finding. I had one patient in Urgent Care who had been to two ER’s, got scanned at both and was told they couldn’t find anything. I examined him and within 5 minutes had the correct diagnosis. He was stunned and said no one had examined him that way, why was that? I told him I didn’t have the scans when I was trained so I rely more on the history and physical. His problem was functional. He recovered. Here’s another one. This one is really scary, so fasten your seatbelt! It’s Thursday afternoon. I’m seeing same day patients in a primary care clinic. A man in his 60’s come in with a complaint of right arm pain and numbness. He had been to the ER three days earlier. They did an MRI, which showed a bright lesion in the cervical spine, the brain was normal. They told him he had a Transient Ischemic Attack (TIA) (a “mini-stroke” that resolves). First, pain is not a typical symptom of a stroke. Second, if it was a TIA presenting with pain, a TIA “resolves” so the pain should be gone. A stroke should be farther down the list. He described the pain as excruciating, kept him up at night despite pain medicine. He thought his right arm was weaker than the left and somewhat numb. On physical exam he had a mild upper extremity only weakness, pinprick exam seemed to aggravate his pain. But the key exam finding was: he had a positive Lhermitte’s sign. This is caused by a lesion in the neck (cervical) spine or the brain stem. It is common in Multiple Sclerosis and Transverse Myelitis, which are irritative lesions. Strokes are “ablative” usually, meaning a piece of your nervous system dies. And TIAs don’t typically occur in the cervical spine. I think the ER practitioner was looking more at the brain and not at the cervical spine and seeing nothing in the brain, called it a TIA (just my assumption). The “sign” itself occurs when you bend the patient’s neck. They get the feeling of an electrical shock going down their back, often into the legs. Interestingly, when I relayed this case to the younger doctors who worked in the medical group, none of them had heard of a Lhermitte’s sign. I wasn’t surprised. Well, he had this Lhermitte’s sign. That coupled with the bright lesion in the cervical spinal cord on the MRI, had me strongly suspecting transverse myelitis. I didn’t have admitting privileges and wasn’t sure he would do well with a blast of outpatient steroids, so I called our medical group’s neurologist. It was 4:30 PM on a Thursday. (Remember what happens nowadays at 4:30 PM in doctors’ offices? Remember the story about the post-surgical patient who was sent to Urgent Care when he called his surgeon at 4:00? Yup, they’re GONE for the day). I got the neurologist’s nurse, told her the story, told her my concerns and that I wanted to speak to the neurologist as soon as possible. The nurse said the soonest she could give the neurologist the message was the next morning. I told her I wanted to hear from her before noon, please. I sent the patient home, telling him we would be calling him about seeing a neurologist ASAP. The next day (Friday), I didn’t hear from the neurologist by noon so I called again. The neurologist was out at lunch and couldn’t be contacted. The nurse told me the neurologist asked her to schedule the patient for a Nerve Conduction Study the next Tuesday WITHOUT EVER SEEING THE PATIENT! And, I’m guessing, she didn’t look at the MRI. Yes, she was relying on a test. I said that was unacceptable. I had to speak to her. Please have her call me today. I was really busy that afternoon and I didn’t get around to calling the neurologist back (because she never called me!) until 4:30 again. Unfortunately, same result, neurologist was gone and still wanted the Nerve Conduction Study, not a call to me or an appointment with the patient. At this point, it is Friday at, now, 4:45 PM. I got more assertive with the nurse, telling her I feared for the patient and really needed to speak to a neurologist. I didn’t want to send him back to the ER where they misdiagnosed him; I figured he’d get the same diagnosis. The nurse said, “Well, there is a locum tenens (“rent-a doc”) neurologist hospitalist. Would you like to speak to him? I have his pager number. He’s about to go off duty at 5:00 PM (meaning there would be NO neurologist to talk to after 5:00!). OK, now I have a plan, but no patient! I was not at the clinic where I saw the patient. It was now 4:55PM. We didn’t have an EMR at the time. I had no contact info for the patient. I called the clinic where I saw the patient. The pod clerk was still there. I told her what was happening, we had to get in touch with this patient. The patient made it to the ER, got admitted and was on high dose IV steroids for 7 days then discharged on high dose oral steroids. Eventually the transverse myelitis resolved. Whew!! Well, I don’t know if that’s true, but, the neurologist was doing the “I can just do a test to figure this out” routine, wasn’t she? OK, so do the math. Near the top or at the top for utilization and over the top for prices = way over spending. Of course, the last graph speaks to prices, which I’ll get to in the next post. 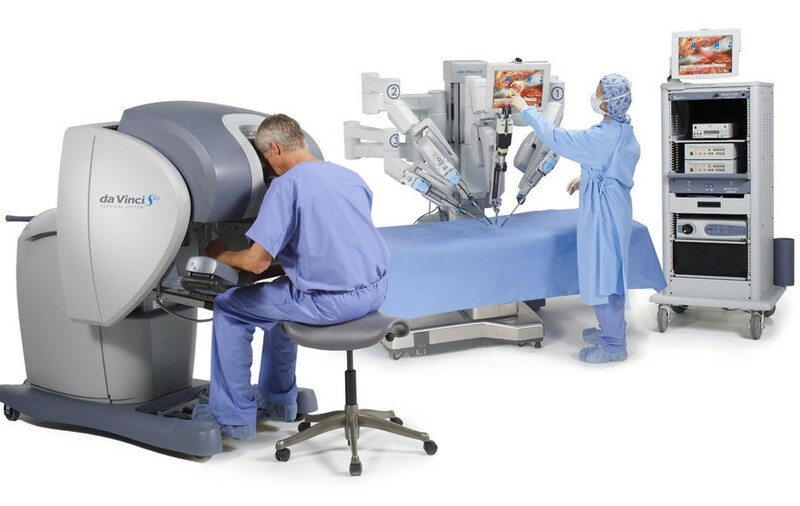 My final target in this post is…Robotic Surgery. This is the penultimate waste of money, and the story is like something out of a movie. The only robot being successfully marketed is the Da Vinci Robot. The Da Vinci robot is made and sold by Intuitive Surgical. Originally, there were a couple of companies developing surgical robots, but, Intuitive Surgical bought them out, leaving themselves as the only company making and selling them. Why wasn’t this considered anti-trust? A monopoly? For those of you who don’t know what this thing is, here’s a picture of it. Notice the surgeon isn’t anywhere near you. The robot costs about $2,000,000. For approximately 90% of the surgeries done using the robot, there is no clear benefit to doing the surgery with the robot. There may be some very special micro-type surgeries (like inside a chamber of the heart) where the robot is better, but, for the rest of the surgeries, there isn’t a benefit and sometimes, the non-robot surgery has a better outcome. I’m not going to quote all of the references for these statements, you can easily Google for this info yourself. Robotic surgery is a rapidly expanding technology that has found a niche in multiple different surgical specialties worldwide. Although robotic-assisted surgery shows some short-term benefits surrounding the direct perioperative period, it has fairly equivalent long-term outcomes when compared to open surgery. Robotic surgery is generally safe with low overall complication rates, but adding the robot to the surgical equation inserts another potential entry point for error into an already complex and risk-fraught arena. In general, surgical outcomes are ultimately a direct manifestation of the skill and experience of the surgeon, not the technology or approach used. They are basically saying you aren’t getting much for the cost of the robot and it adds complexity. FYI, Robot surgeries are longer than laparoscopic or open surgeries, and, ask any anesthesiologist or surgeon, the longer you are knocked out, the more likely you are to have a complication, including death. I have a ton of articles stating similar to the above. To this date, there is no convincing evidence that the robot adds anything. 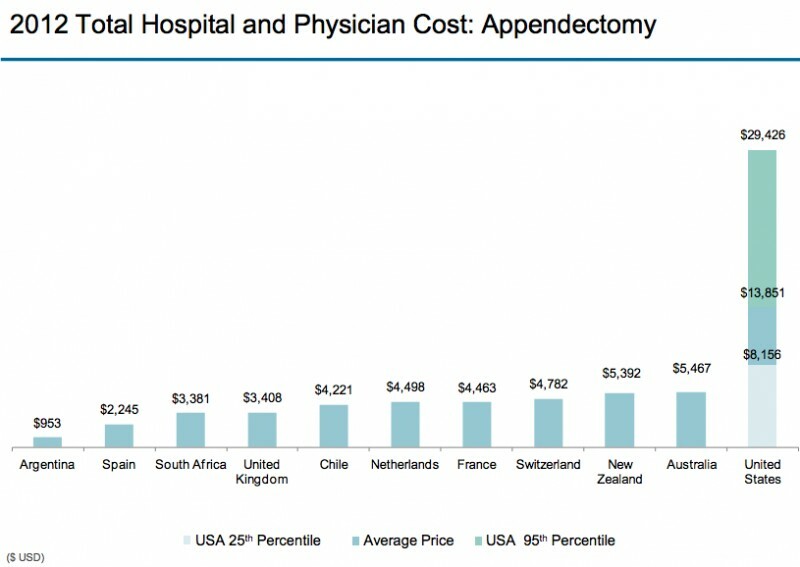 Notice the US has most of the robots and is doing most of the robotic surgery. There are several reasons for this. Intuitive Surgery is great at marketing and showing this bright shiny object to surgeons while having no good data to back up their marketing claims. It is amazing to see the faces of surgeons when the Da Vinci guys come to make their pitch. I’ve actually been at one of these. The surgeons act like kids in a candy shop. They are about ready to whip out their own credit cards to buy one. Then the Intuitive Surgery salespeople just have to step back and watch the surgeons tell the hospital administration that they will go to the hospital down the street, who has already bought a robot, to do their surgeries if this hospital doesn’t buy one. The administrators turn white thinking of how much surgery volume they could lose and immediately sign on the bottom line. This happens all the time, by the way, surgeons threatening hospitals to get things they want whether the things have been vetted in the literature or not. The current practicing surgeons grew up in the video game generation. And using the robot is just like playing a video game. Why do a surgery looking through a monocular laparoscopic tube when you can do one with a device that mimics playing a video game? Who knows, maybe pretty soon there will be global robot surgery competition like the video gamers are having now! Who can do the prostatectomy the fastest without a complication! I can see it now! This is the real crux of the robot issue. And the academic training centers in the USA are mostly to blame. They are supposed to be data-driven cultures who advocate doing things as proven in the peer reviewed literature. Well, in the case of the Da Vinci Robot, that couldn’t be farther from the truth. You see, most academic training centers have more than one Da Vinci robot. They are ignoring the peer reviewed literature. And the interns and residents use the robots pretty much exclusively. Which means, none of them are trained to do the laparoscopic or open procedures. Here’s how this plays out. As is usual in healthcare institutions, annually, there is a “budget crisis”. A couple of years ago, after a “budget crisis” call to find ways to reduce costs, I amassed a ton of data showing the robot didn’t add anything except adverse events and costs. I had a very compelling case. It was so good, the COO said he believed the robot wasn’t worth it BUT, a. the surgeons would defect if he shut it down and, b. he wouldn’t be able to recruit surgeons, especially Urologists and OB/GYNs because THEY COULD ONLY DO ROBOTIC SURGERY NOWADAYS. So, Intuitive Surgery has created it own self-fulfilling prophesy! This has to be the most arrogantly successful marketing strategy in the history of medicine! And the academic medical centers just went along with it!! Unbelievable!! 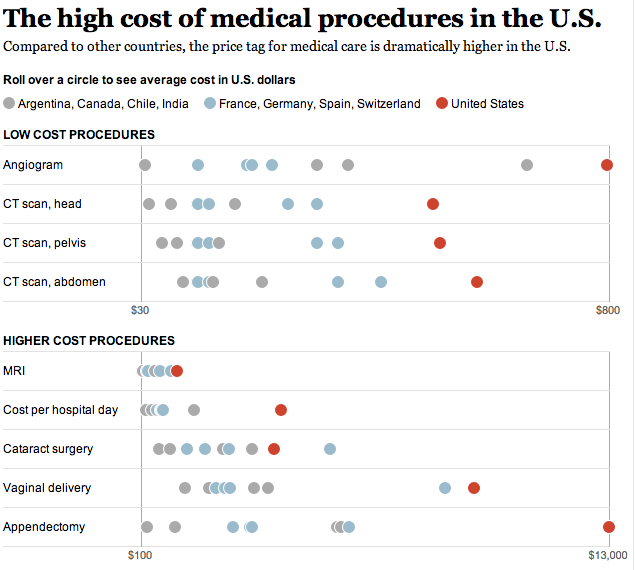 When you mention the extra costs (not human costs, just financial costs) for robotic surgery, some people say, “Well, it doesn’t matter because the hospital gets the same reimbursement whether they do a robotic or non-robotic surgery. It’s the same charge impact on the patient and insurance company.” What a naïve statement! Having watched how hospitals manipulate their charges and insurance company contracts, I can tell you that they aren’t simply going to take a $3000 hit on these surgeries. They figure out someplace else where they can increase reimbursement to, at the least, even it out and recoup that “loss”. The USA utilizes high priced technology more than almost all other nations. Technology is preferred over actually seeing and examining patients by today’s practitioners. 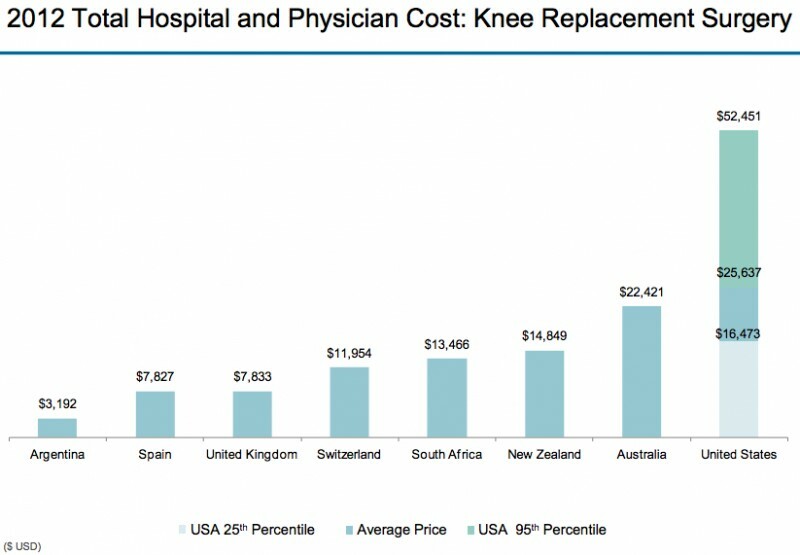 High Priced Technology utilization is “overtreatment” and is one of the two most prominent drivers of USA health care costs. The EMR exacerbates the technology reliance by today’s practitioners. The Da Vinci Robot adds cost and adverse events without evidence that the patient benefits from it. Intuitive Surgery has a “death grip” marketing strategy, adopted by academic medical centers, that guarantees it’s continued sales of a device that shouldn’t be used. It would take the medical community, led by the academic medical centers, being willing to “bite the bullet” and say “no more of this” to Intuitive Surgery and shut down the robots and train surgeons in the non-robotic surgeries to phase out the robots. But, since it’s all about the money, that is probably an unlikely scenario. And the medical community is relatively gutless anyway. Witness the Opioid epidemic…which never should have gotten to the point it did and wouldn’t have if the medical community stood up to The Joint Commission and the drug companies. OK, folks, this is where the money is. 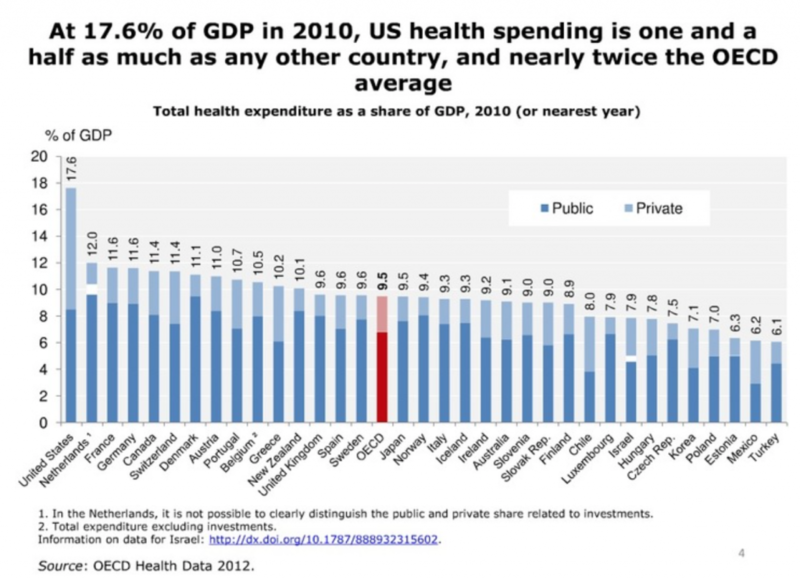 Yes, this is the absolute crux of why our health care costs so much. When I was working in physician groups who were capitated (paid a set amount of dollars per patient per month) instead of fee-for-service (paid a set amount for each service provided) the number one thing the physician groups did was negotiate the lowest prices or figured out a way to pay less for something. That’s because the physician groups had to pay the other “external to themselves” health care providers from that capitation payment. They combined being efficient within their offices and practicing evidence-based medicine (aligned with best practices) with getting the lowest prices. When I was in hospital system based health care systems, this was not the case. During those times, I was the Chief Medical Officer of the hospital systems’ health insurance plans. Because a hospital system’s mentality is to make as much operating/profit margin as possible, trying to be the lowest cost service provider in the market wasn’t in their DNA. This was especially true for the Finance folks. They are laser focused on decreasing utilization…for all the other service providers, not necessarily their hospital-based system, not lowering their prices. I once convinced the administration to apply a lower fee schedule for a health plan account for the hospital system’s services to retain the account and the Finance guy looked like you had stabbed him in the heart, that’s how hard it is for them to lower prices. I used to have quarterly reports showing utilization flat or decreasing in 90% of the service providers while prices were consistently increasing and the finance folks demanded further reductions in utilization rates to offset the price increases because they had no appetite to try to decrease prices. Hospitals can be very creative in maintaining their prices. You’ve probably read news articles about hospital “chargemasters” which have absolutely no basis in any type of business logic except the hospital system is operating in the USA free market system. 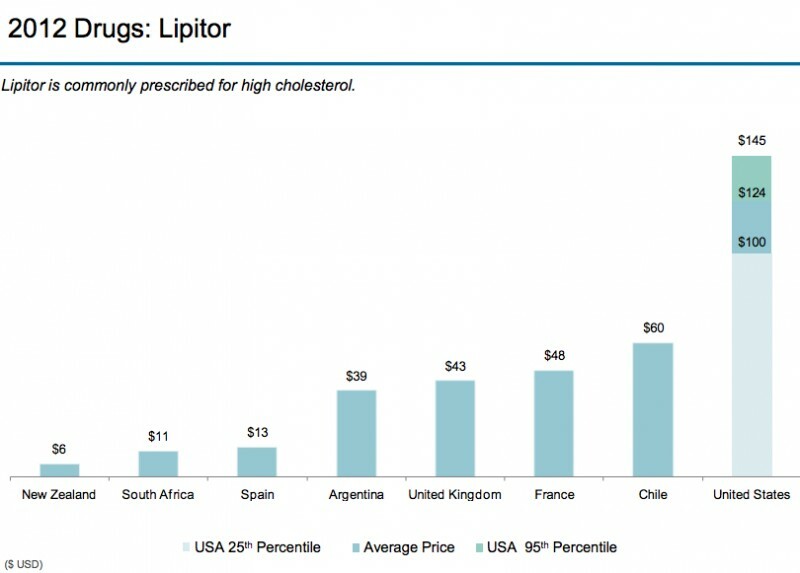 So, their chargemasters look a lot like the Drug Company way of pricing things, that is, charging whatever they think the market can bear. I’ve watched this in action, even in IDS’s that, to the public, voice that they want to be the most affordable health care system. But that is actually a huge lie. The statement “The average ratio ranged between 1.8 and 28.5 across patient care departments” means the hospital chargemaster is setting prices almost 30 times the Medicare allowable reimbursement for some services!! If you don’t have insurance, the chargemaster prices are what the hospital will charge you. I usually told uninsured patients who really needed the hospital care to start negotiations with the hospital at 1/3 of whatever the hospital billing folks told them they owed the hospital. In one state in which I worked, the reimbursement model was a DRG (Diagnosis Related Group, a payment type started by Medicare. It is a “lump sum” payment for an admission rather than a line by line item charged) model. But, when the charges (not network fee-for-service equivalents) for the line items for an admission reached a certain dollar amount (let’s say $30,000), the reimbursement to the hospital reverted to a percent (like 80%) of billed charges. Now that you know how perverse the hospital chargemaster system is. This makes no business sense for the person or entity having to pay the bill. Even though the Finance and administration folks knew this was creating excessive prices for admissions, they wouldn’t change their own DRG model to mimic Medicare (which doesn’t do this at all) for their own health plan because they wanted to maintain that perverse DRG model with the other health plans and health insurance companies, obviously, because it was more lucrative. Yes, maintain as high of prices as possible. Not surprising. And, since a hospital can raise the charges in a chargemaster anytime they want, if they need more cash, they just raise the chargemaster prices. Yes, just like the Pharmaceutical companies raise drug process whenever they want. Since the hospitals are getting 80% of charges when they hit the DRG related “charges dollar amount”, the higher the charges, the more cash! And no one can stop them. 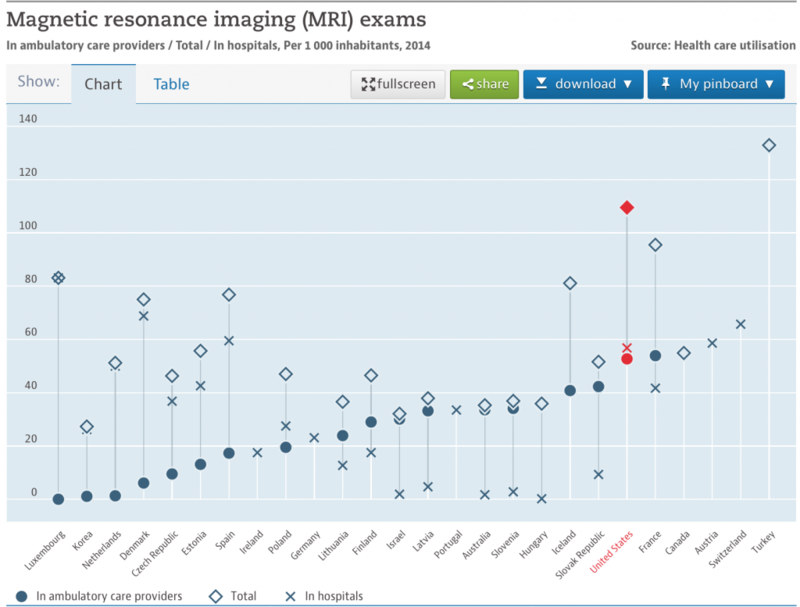 The main reason for this is, it helped the hospital system’s profit margin to maintain prices. As a matter of fact, it was common that the highest priced service providers in a hospital system owned health plan network were….wait for it….providers owned by the parent hospital system! Who would have thunk…NOT!! This shuttles money from the health plan to the “delivery system” to maximize the financial health of the hospital system. The health plan was supposed to make up for this loss to their bottom line by ratcheting down on utilization of services by non-hospital system service providers. 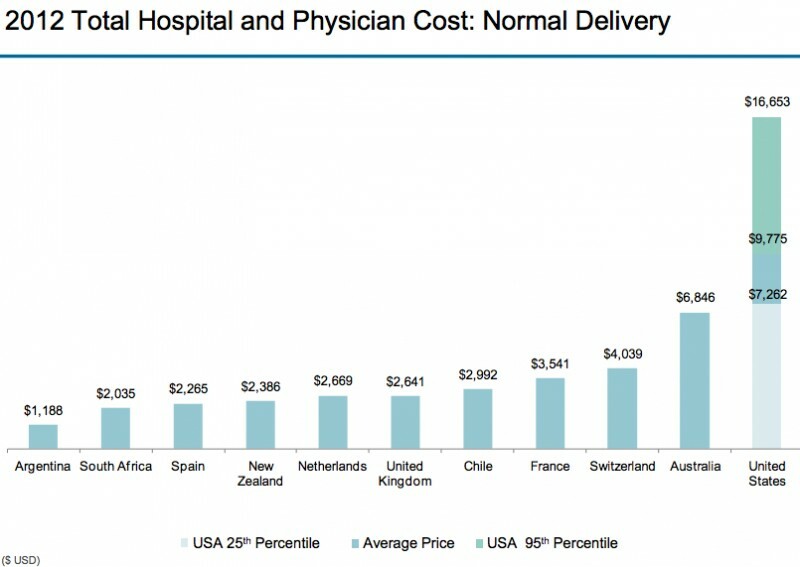 This is why the Finance folks in Integrated Delivery System’s (this is when a hospital system owns a lot of the health care delivery and financing (insurance) businesses, including doctors) are stuck on utilization decreases of other health care providers vs. becoming more efficient or reducing the margin on their services to make health care more affordable. Greedy, greedy greedy. And there seemed to be this phenomenon that the hospital system and all the other providers were in the same buddy-buddy situation, meaning, it was hard for them to drive down other service provider prices because they inherently didn’t want that done to themselves. It was sort of like doctors don’t like to say an averse outcome has any doctor culpability because of the “that could have been me” mentality (you have no idea how many times I heard that in Quality Case Review sessions). Here’s another hospital price maximization tactic. In 2000, Medicare created the facility fee. They set new billing standards for employed physicians. Some say it was meant for teaching hospitals (who always seem to need more money) who had their attending physician offices attached or integrated into the teaching hospitals on the same campus. However, this wasn’t specified in the new rule. As with other billing standards, commercial health insurers simply adopted what Medicare does. So, non-teaching hospitals, reviewing the specifications of the new rules, realized that if they declared their hospital-owned physician group offices as a department of the hospital, they, too could charge the facility fee. Most of these offices are free-standing offices, just like an independent physician’s office. Of course, the hospitals say they need the facility fee to maintain these offices, but, that’s just how they justify charging the fee. It’s not true. The private physician doesn’t need this. What a facility fee does is dramatically increase the cost for a physician office visit or any test that is done in a hospital-owned physician office. In 2012 and 2014, the Medicare Payment Advisory Commission analyzed Medicare data. 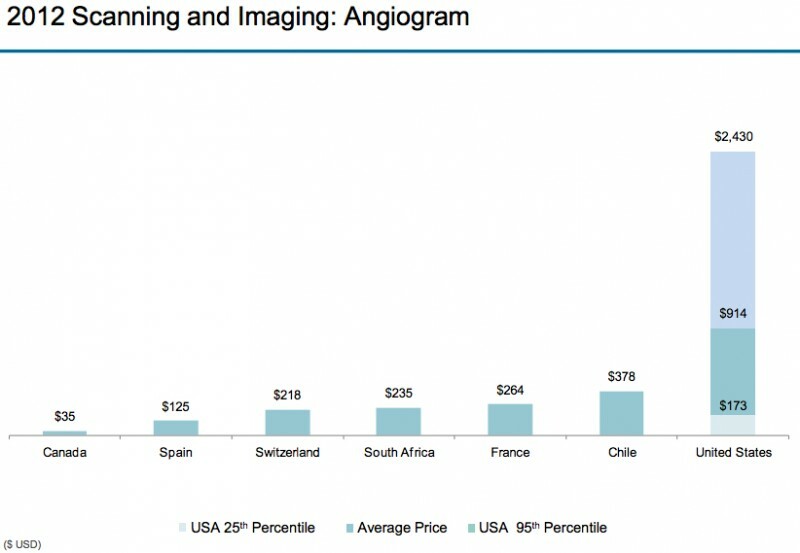 According to the 2014 report, Medicare, for echocardiograms (ultrasound of the heart) paid, on average, $453 at a hospital-owned facility and $189 at a privately-owned office. Keep in mind that providers are paid by a Medicare fee schedule, not based on a percent of charges. This means that the Medicare “payment standards” allowed a 2.4 times increase in payment for the same service! According to the 2012 report, they paid $124.40 for a 15 minute office visit at a hospital owned physician office and $68.97 at a privately-owned physician office, almost twice as much! There is a facility fee for just about everything. This became a cash cow for hospitals. So, they started employing physicians to expand their ability to receive this extra cash. I’m here to tell you that running a physician office costs the same whether a hospital owns it or not. I actually had a hospital take over my practice in the 1980’s. Nothing in the office changes, same staff, same supplies, etc. So, if it were 2001 instead of 1989, the prices for my services would have doubled overnight with no increase in costs to run the practice. This happens all the time now. What this means is WE ARE ALL PAYING FOR THIS! If you are in a high deductible health plan, are uninsured or on Original Medicare (where you pay 20% of what Medicare pays a doctor), your out of pocket costs are higher. For those on a copay plan, your insurance premium is higher and, no matter which plan you are in, your taxes are higher (because YOU have to pay the taxes to pay for the 80% Medicare pays which includes this facility fee charge). President Obama signed a bill that, going forward, only allows for facility fee payment if the physician office is on the same campus as the hospitals. But, it “grandfathers” the physician offices or other service facilities already owned by hospitals that are not on the same campus starting 2018!. ALERT: Watch for your local hospital to start building facilities on their hospital campuses and move their employed physicians to the campus! The 2014 report says Medicare would save about $500 million if they stopped paying facility fees for physician offices. 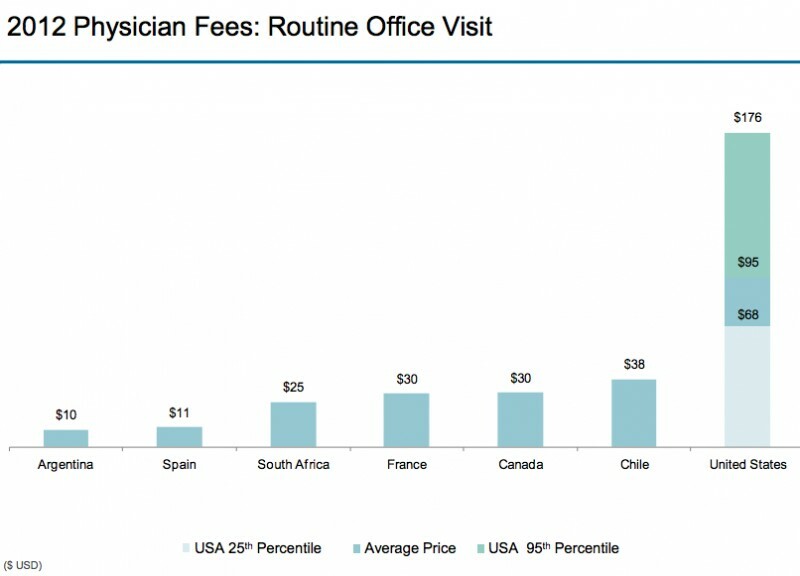 My personal opinion is, no physician office should be able to charge a facility fee. It’s perverse. For hospitals, in addition to using every method possible to maximize their revenue, they are consolidating. Consolidation creates, at the least, a near monopoly within a region so that the hospitals can demand higher prices for the services they own. “As health care consolidation accelerates nationwide, a new study shows that hospital prices in two of California’s largest health systems were 25 percent higher than at other hospitals around the state. Inflation has only been running between 1-2% a year, so you do the math as to how ridiculous these price increases are. Of course, the ED physicians work…IN HOSPITALS!! It’s not a leap to figure out they ED docs’ finance guys are talking to the hospital finance guys, now is it? And then there are the doctors who are in a monopoly or near monopoly position within a city or region. If they are in a market where the doctor group is the only group in that specialty, like Oncologic Surgery or In Vitro Fertilization, or, the doctors are the only PCPs in a rural area, they either won’t contract with a health plan (this means you pay whatever they charge (often 2-3 times what Medicare pays) as a health plan or patient) or they have a contract with the prices they demand (often as high as 3-5 times what Medicare pays). This also applies to any health care service provider (hospitals, Physical therapy, Durable Medical Equipment providers, etc.). I’ve actually seen illegal activity on the part of doctors trying to get as much money as possible from health plans. In one city there were five solo practitioners in a certain specialty. According to federal law, these five solo practitioners couldn’t negotiate as a unit unless they shared business or clinical systems, which they didn’t. As we tried negotiating with one, that one solo practitioner would pass notes to the other four in the physicians lounge in the hospital so they all would be asking for the same thing or holding out signing contracts until they all maximized their fee schedule at the same price point. At one point another group of solo practitioners came forward as a group, even hiring a lawyer who thought this wasn’t illegal and tried to openly negotiate for them as a unit. They had absolutely no business or clinical integration! Because the health plan was owned by a hospital system, the hospital system told the health plan to capitulate to the doctors and the legal department wouldn’t report them to the Feds (See the above paragraph about the “buddy-buddy” mentality). I could go one for pages about how all the other service providers I’ve negotiated contracts with are doing the same things, but it would be dozens of boring pages that you wouldn’t read. The bottom line is, in the USA, health care providers are constantly trying everything they can to get the highest amount of money for their services. 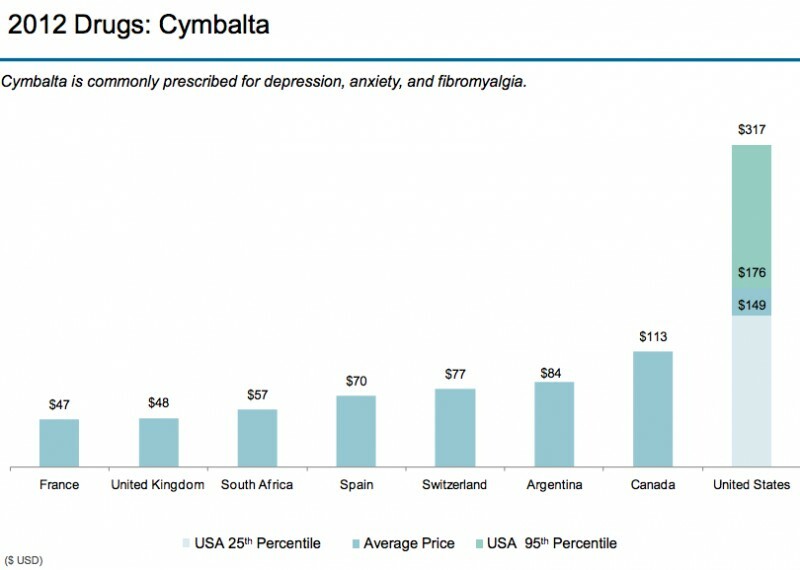 You’ve already read and heard about the Pharmaceutical Industry, which has gone totally hog wild with price raising! Now you’ve heard Hospital stories about them doing the same thing! This is because the Health Care Industry is operating within the rules of a free market system. It’s supposed to be competition driven, but you can see how that competition part doesn’t seem to operate in the health care sector. But the “get as much money as you can get” is still very operative. 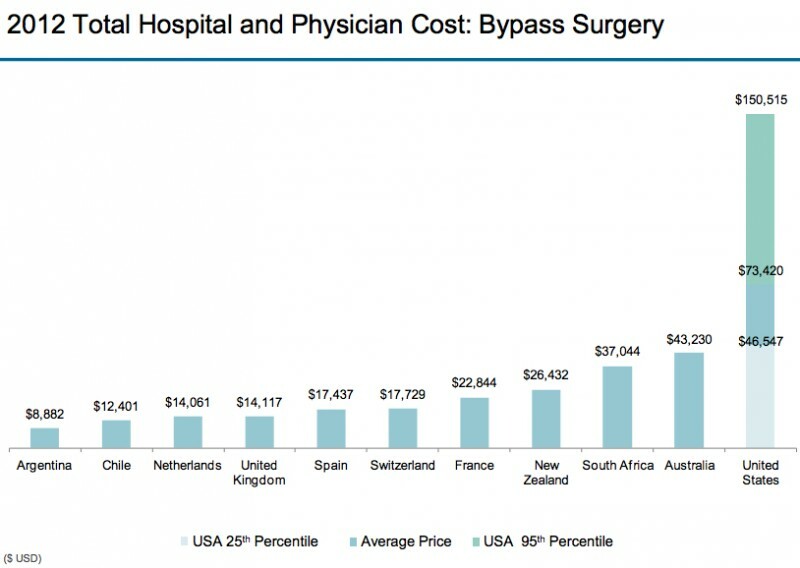 All of this results in the USA being the highest cost system in the world without having the best health care outcomes. Example #1, Getting a drug in another country. I won’t mention the country, but, I’ve done this in three and it was practically identical. There is a drug that treats cold sores called acyclovir. You can get it as a tablet. You can also get it as a cream or ointment. If you have the cream or ointment, you can carry that in your purse or briefcase or have it in a drawer in your office and thereby start it immediately, which hastens the resolution of the cold sore attack, and you don’t have to call your physician or go to Urgent Care to get pills. Notice the approximate retail price, $464.99. For a GENERIC! I’m here to tell you that 5 years ago that was about $60.00. Now, the pharmaceutical companies will tell you no one pays the retail price; that this is sort of like the hospital chargemaster. Actually, it sort of is, but, if you don’t have insurance or have access to a coupon program, the retail price is what you will pay. 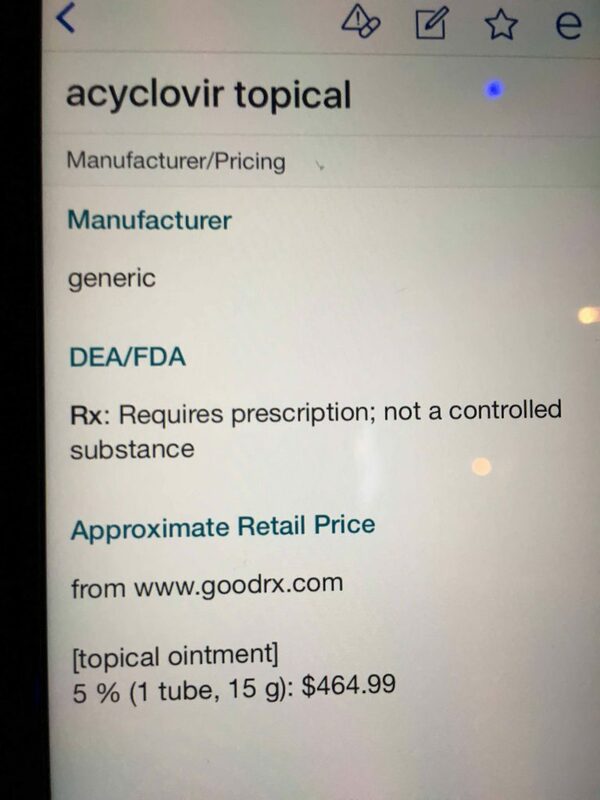 Even with the coupon, this generic medicine is still pricey, and you can pay up to $326.00 for a 15 gram tube. I’m sure this is on everyone’s health plan fourth tier copay, which can be in the $100 range or, if you’re on a high deductible plan, you’re going to pay at the least a price at or above the above Walmart price. Yes, you are reading that right, $14.58 USD for three 5g tubes (same amount as the one 15g tube in the USA examples)! 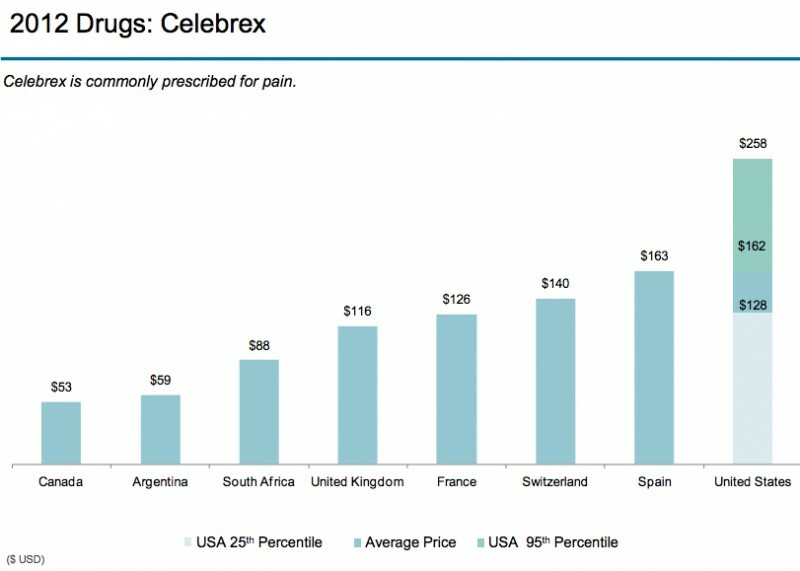 Thirty-two times less expensive than the USA retail price and 7.4 times less expensive than the cheapest price on GoodRx!! Two ounces of this drug is $180.00! $90 an ounce! Remember, I paid $95. Three of the stores charge less than $95. 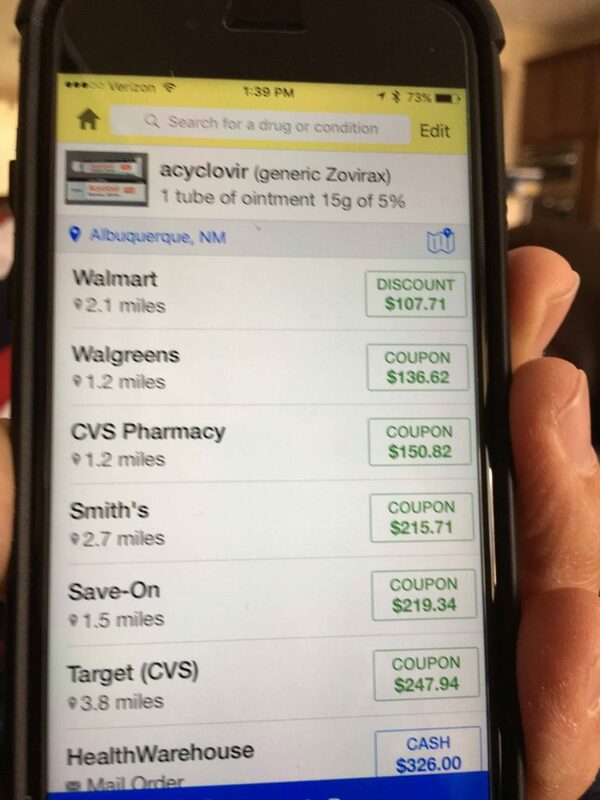 If you don’t have a coupon app like GoodRx, go to the app store, get it, and always check the coupon prices against your copay/coinsurance cost. 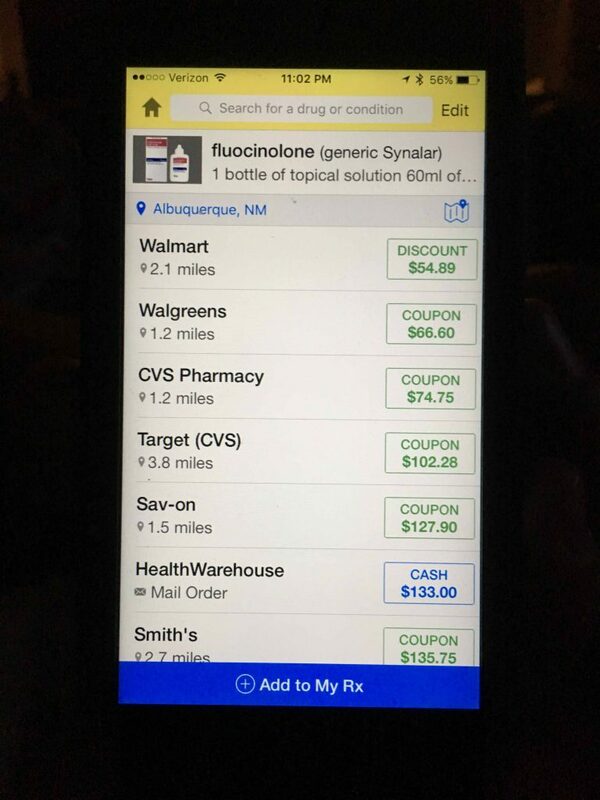 The fact that three stores can offer the drug for less than my copay, I’m wondering if the health plan actually made money from me since my copay is higher than the potential actual cost to the health plan! 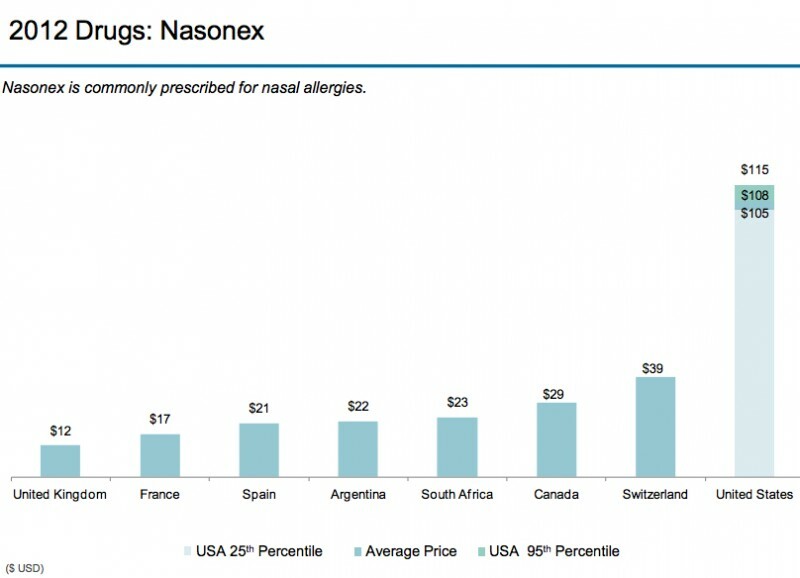 At the same time, this generic drug is still pretty expensive! OK, it’s those big bad hospital systems and the drug companies, right? Well, not so fast. It’s also everyone, me included, who work in the health care industry, because we all expect a certain amount of money to do what we do. From doctors to nurses to physical therapists to pharmacists (you name it, even chiropractors), we are accustomed to getting paid darn well. And actually, it’s a lot more than other countries. But, then again, we’re in a free market society, so, we’ll take whatever the market can bear! I’ll show you this in some graphs later on in this post. Here’s a true story about this. Yes, she used the word astronomical!! If you don’t know or believe that these guys are the heavy hitter health care economists, just Google Uwe Reinhardt. Notice the reference to lower use of health services. Yes that’s true, except for those high tech devices you read about in the last post (which aren’t solely driving the difference in total costs per capita). I could actually go on for dozens of pages with examples of hospitals in “one-hospital” cities and towns charging whatever they want, ancillary service providers employing pricing strategies, endless pharmacy pricing examples, etc. But, now, I’m going to shut up and just show you the data. Let’s start with some capacity data. According to the Dartmouth Atlas, the more capacity, they higher the utilization of services and the higher the costs. 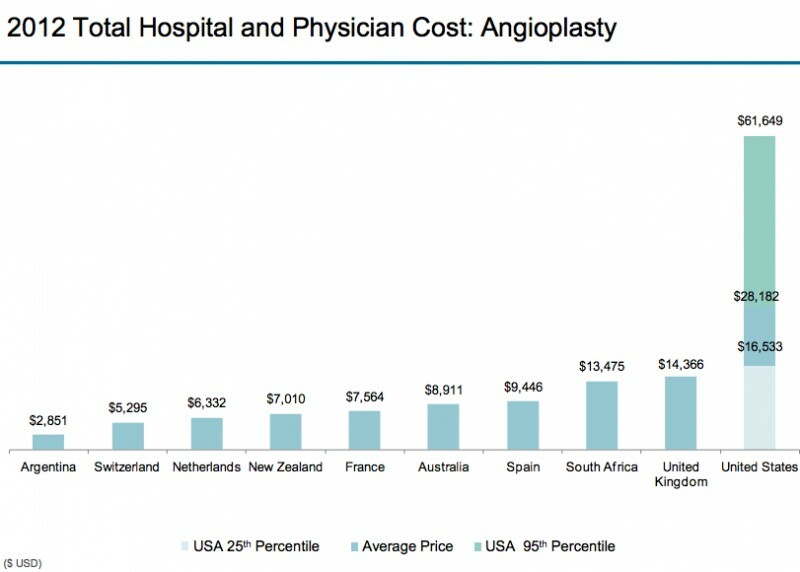 These graphs will show you that, from a global perspective, that isn’t the case because the USA has lower capacity of doctors and hospitals than other countries and the costs are HIGHER. The one thing we are equal with regard to capacity is nurses. OK, so that Dartmouth Atlas fundamental doesn’t work there! Here’s why: It’s the prices! The Dartmouth Atlas is based on Medicare data with a standardized fee schedule. The prices are fixed. We pay PCPs and nurses more than any other country. Specialists are third. But we have more high cost specialists than any other country. 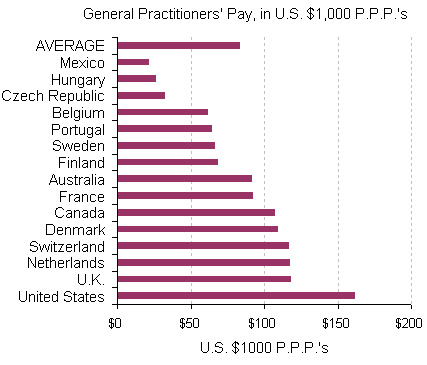 Suggests more referrals from lower cost PCPs to Specialists so the unit cost of physician care is higher. 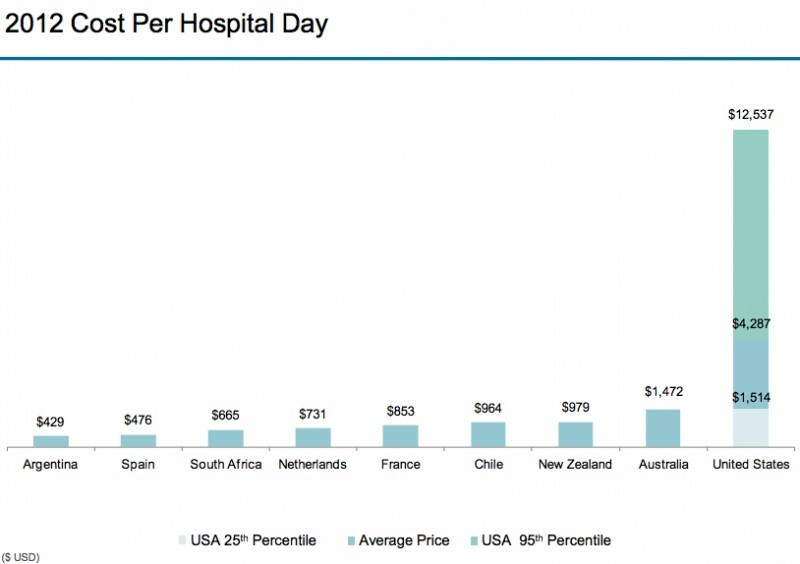 USA has half the hospitals and length of admissions but 4x the average cost of a hospital day. Prices…. 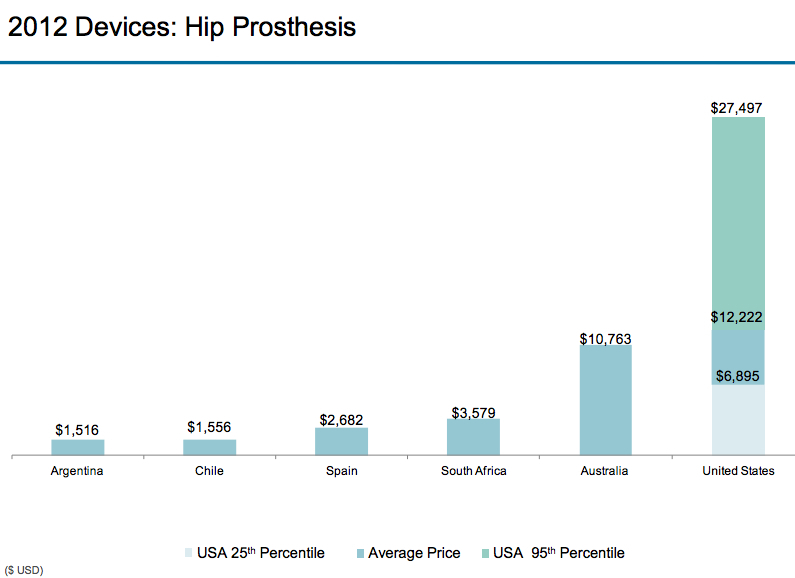 The Prosthesis is the actual artificial hip they put into patients. 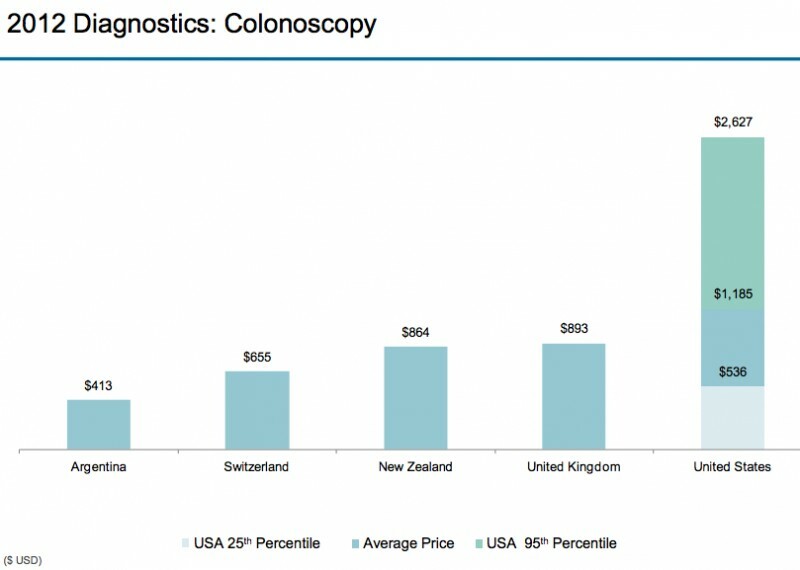 If you’re on a high deductible health plan, want to go to Argentina for your Colonoscopy? An Angioplasty is what you get to reverse or prevent a heart attack, without having to have surgery. An angiogram is an X-ray where they inject a dye so they can see what your arteries look like. 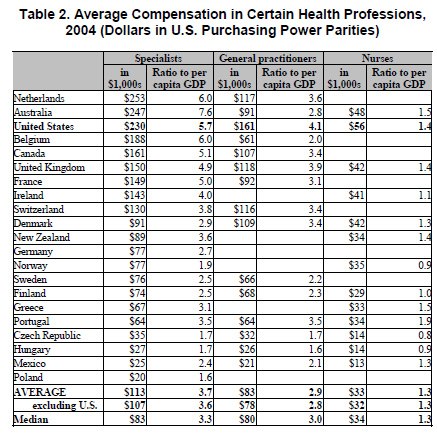 The main reason why health care costs are more in the USA than other countries is higher prices. The USA has higher prices because the USA is a free enterprise country. It’s perfectly acceptable for a health care provider to charge or negotiate for as much money as they can get. Health care providers use a variety of tactics to maximize their revenue/income at the expense of the general pubic/citizens. The competition component of the free enterprise system is generally absent in health care economics, which most economists and health care administrators downplay or deny, fueling US health care cost escalation. As you can see, Administrative Complexity is the biggest wedge in this graph. In actuality, you should add Administrative Complexity and Pricing Failures together to get Prices (Berwick and Hackbarth’s definition of Pricing Failures has to do with the perverse “market forces” only, i.e., “the waste that comes as prices migrate far from those expected in well-functioning markets”. See my post on Prices, in which this is all inclusive.) I say this because the health care providers have to make their profit margin expectations and they are funding resources to manage the administrative complexities in the US health care system which drives up prices. Let’s go through each of these. This is my favorite pet peeve, and I worked in several health insurance companies. As a physician executive in those health insurance companies, I did everything I could to minimize the administrative burden to members (patients in insurance speak) and health care providers. NOTE: Every insurance company has different rules about these. Trying to keep up with them all is an administrative nightmare! Each insurance company has “rules” they want the health care providers (herein called providers) to follow as a provider in their network. These are laid out either in the contract between the insurance company and the provider or in the provider handbook. The rules described in the contract usually require a notification period (defined in the contract) for changes, but, a lot of the handbook rules can be changed at any time by the insurance company. The provider can’t change any rules; it’s a one-way street. Here’s an example. An insurance company had a rule allowing the Medical Director of the hospitals in their network to call the insurance company Medical Director and discuss inpatient cases whose admission, or some days of the admission, had been denied by the insurance company (herein called health plan). Often, the health plan had incomplete information about the admission and a five-ten minute conversation to their Medical Director and faxing some additional information caused the Medical Director to approve the admission or denied days. One day, without warning, when the hospital Medical Director called the health plan to discuss a case, he was told the health plan changed its rules and would not be allowing the hospital Medical Directors to speak to the health plan Medical Directors, and, if he wanted a reconsideration of a case he had to file a formal appeal. Filing a formal appeal was time consuming, required a series of administrative steps with the health plan, photocopying dozens of medical record pages, etc. This added even more administrative costs to the hospital AND the health plan. The health plan was OK with increasing their additional costs because they know that hospitals will not file formal appeals for a certain percentage of cases because of the workload to file them, and that the health plan would be more likely to uphold the first denial decision using a non-person-to person appeal process. The money saved because of these two things is way more than the salary and benefits of a couple of FTE to manage the extra work. Members are also subject to health plan rules. If you are in a health plan, you have gotten a member handbook and a “summary of benefits” which are just like in that Libery Mutual car insurance commercial where the woman says the page in her handbook says “blah, blah, blah..” Have you read every page of your member handbook? If you did, did you understand it all, or, are you sure your interpretation of the rules is the same as the heath plan’s? The one that is most irritating to members is when they get referred to a specialist or a testing facility that is not in the health plan network by a PCP, or when they are referred to an in-network provider but the PCP doesn’t know she has to file a prior authorization for the service with the health plan. The member gets a denial for the service and the bills. For members, rules changes by the health plan usually require, by state or federal regulations, advanced notification. However, these are usually letters sent to members about things they haven’t experienced yet and they forget about the letters. If a member doesn’t like the denial, they have to file a formal appeal, which is just as labor intensive for the member as the hospital scenario above. All of this adds costs to the system. Both providers and members hate these. They are a foundational function in any health plan. There are two kinds of prior authorizations (PA’s), medical necessity and administrative. For Medical Necessity, the stated reason by health plans for prior authorizations is to make sure providers are practicing according to best medical practices. For some prior authorizations, that’s actually true. Health plans usually have “Medical Policy” committees that review literature and they contract with proprietary companies that have physicians on panels that review literature and offer opinions and recommendations (Winnifred Hayes for example), and they usually get the opinion of an in network physician, then they promulgate a policy. An example would be a prior authorization for bariatric surgery (you know, those surgeries obese people get so they can lose weight). You have to be overweight by a certain amount, and ascertain that you have an obesity related complication, like diabetes, etc. This would all be based on the medical literature’s recommendation of who should get this type of surgery. This is all well and good except there are sometimes circumstance that aren’t defined in the literature that should be taken into account. Remember in one of my previous posts when I talked about the “bell curve”, that people and the way things impact them isn’t identical for every person? Well, this is also operative with PA’s. Some health plans are more flexible about this than others. Only a Medical Director can make a medical necessity denial and it is considered by most states that Medical Directors doing PA’s are practicing medicine and have to be licensed in the state where they are making these denial or approval decisions. They can actually be sued for malpractice related to their making health plan medical necessity decisions. 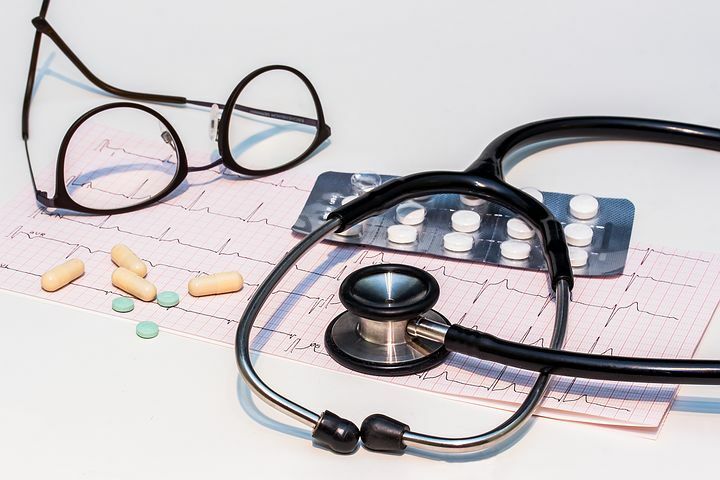 Another problem with medical necessity policies is, there are often financial reasons for the wording in medical policies or in their implementation. That’s why, if you looks at several health plan medical policies for the same procedure, they will have different approval elements, even thought the literature is the same. That’s because the real first reason for PA’s is not to make sure the providers in the network are practicing according to best practices, but to save the health plan money. And the administrative burden for PA’s is quite high. Obviously, health plans have dozens of staff, mostly nurses (who have been sucked out of the health care caregiving systems) processing PA’s all day long. Provider offices always have a person trying to run down prior authorization processes. The PCP has one trying to generate them and the Specialist has one trying to make sure the authorization has been approved before the patient arrives or when they arrive. And health plans often just apply the PA’s to hassle providers and members enough that they don’t want to go through the effort of getting a PA. So, whether the patient needs something becomes a moot point. The administrative burden to request a PA results in a deferral of the patient getting the service. The other PA is called an Administrative PA. This is when the contract between the member and the health plan specifically says something is not covered by the premium the member is paying. These things are variable by health plan. An example would be, cosmetic surgery is not covered under the health plan contract. If a member or provider requests coverage of something cosmetic, the denial doesn’t require any type of supportive medical literature. The member simply didn’t pay for cosmetic procedure coverage. A non-physician can make administrative PA denials since there is no application of medical necessity. Of course, members and providers will still appeal administrative denials, which is labor intensive and requiring provider and health plan resources, adding to costs. Here are some true stories about PA’s. This first one is interesting because it ended up the member agreed with the final outcome but the provider didn’t. A request came across my desk from an Oncologist to have a patient with gastric cancer to go to a major distinguished cancer center for a Phase 2 clinical research trial. A Phase 1 trial determines if the new treatment is safe. A Phase 2 trial determines if the new treatment does something positive (you don’t know it is positive or negative until the end of the trial). A Phase three trial determines if the new treatment is as safe or safer and the same or better than the current standard of practice. Health plans generally don’t cover Phase 1 or 2 trials. This is because they only want to cover things that have a known beneficial effect on a person and you can’t say that for Phase 1 and 2 trials. Plus, it’s a way to decrease medical costs. Anyway, I got this request. I called the Oncologist who strongly advocated for the patient getting the Phase 2 trial covered. His main selling point was, the patient was relatively young, had a treatment resistant cancer, hadn’t responded to standard therapy and should have a chance to get whatever treatment is available, whether one knew it worked or not. This position actually violates the bioethical principle of beneficence, which, summarized, says a doctor can’t offer a treatment to a patient unless the net benefits to the patient outweighs the harms. You can’t say that for a Phase 2 trial. You have no idea how many conversations I had with Oncologists about this. They just wanted their patient to get something whether it was proven or not. Like I said before, most health care providers don’t understand bioethics. I then called he patient. His Oncologist had convinced him he should have the treatment in the Phase 2 trial. I asked him if he minded if I called the principle investigator of the trial to get more information. He said that would be fine. I told him I would call him back with what I found out. I called the principle investigator. He was a really nice guy. He described the protocol to me. It was a three drug combination given over 24 hours in an IV drip. I asked him how many people were in the trial and did he have any preliminary outcome data. He said the patient in my health plan was only the fifth person to be enrolled so he had no data yet. I asked him if there was a study that preceded this one using the same drugs. He said there was! The previous study gave the drugs in an IV bolus (pushed with a syringe over several minutes). I asked him how that study turned out and he said they stopped the study because the patients were dying faster from the treatment than the disease. (See what I mean about Phase 2 trials?) He said they thought if they gave the same drugs in the same doses over 24 hours, they might help without killing people. This is one reason why there are PA’s. On the other hand, here’s a Pharmacy one that is the opposite. People get fungus in their toenails. You’ve seen ads about that on T.V. It’s considered cosmetic. It just looks bad. The standard treatment was griseofulvin, an oral antifungal. Griseofulvin has a fair amount of adverse effects including liver dysfunction, requiring lab test monitoring and you have to take it for at least 6 months for it to be effective. In 1996, terbinafine came out. It had fewer side effects, reduced required lab testing, lower incidence of liver dysfunction, and you only had to take it for 12 weeks. 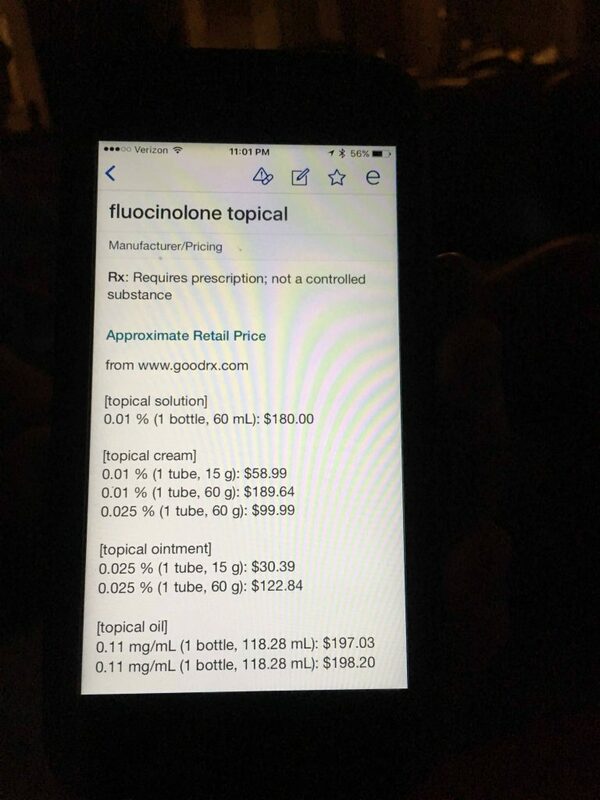 The health plan pharmacy department designated terbinafine as requiring a PA which stated the patient had to have an immunocompromising condition, like diabetes or HIV, and the fungus had to be causing a significant irritation to the skin or a bacterial infection in the skin adjacent to the nail. All other requests were considered cosmetic, the nail just didn’t look good. This made the PA a medical necessity PA. There was NO PA for griseofulvin. That meant a doctor could prescribe it for any toenail fungus infection in any person and without any sign of irritation or infection! The real reason terbinafine was under a PA was BECAUSE IT COST FIVE TIMES WHAT GRISEOFULVIN DID (griseofulvin being generic). 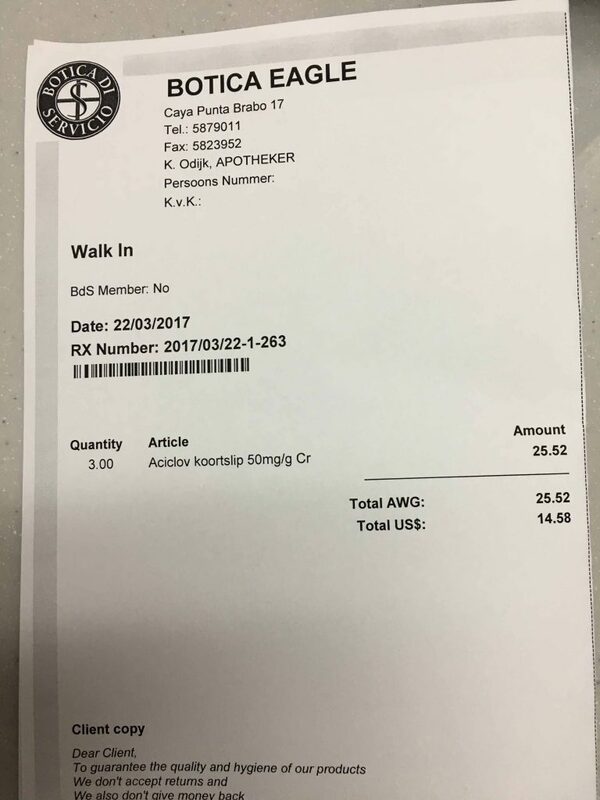 No matter how I pressed the pharmacy department pharmacists, they wouldn’t admit that the PA was strictly to save money so they could meet their pharmacy budget drug spend target. PA’s require appeals processes. There is usually a first level, where a Medical Director decides upholding or overturning a denial, a second level appeal where a health plan Appeals Committee, consisting of health plan staff, who vote to uphold or overturn the denial, and a state Department of Insurance (DOI) Appeals Committee where persons hand-picked by the DOI decide. A state Appeals Committee may have physicians or not on the committee. Sometimes the committee is only citizens with no medical background. With the state committee, it is funded by your taxes! More money going to health care administrative costs! Bottom line for PA’s: There are good PA’s and there are bad PA’s. You won’t know the difference. If you really think you need something, appeal, appeal, appeal! I always tried to implement things to minimize the burden on providers and members regarding PA’s. The Finance guys were very resistant to reducing PA’s or making it easier for providers to obtain PA’s (The rationale for the latter is, the more work a provider has to do to request a PA approval, the less likely they will ask. This, of course, keeps the health plan’s medical costs down). Here are some of things I did in health plans that were pretty much reversed after I left, usually because the Finance guys put pressure on my predecessor. To determine if you are actually getting cost savings from a PA, you have to have a net cost reduction according to this formula: Amount of money saved with a PA – the administrative cost to do the PA = a positive number. Otherwise, your costs are higher due to excessive administrative costs. Here’s an example. If it costs $50 on average to process a PA and only 1% of the PA’s are denied, the service with the PA has to cost $5000 for breakeven in the formula above. If the procedure costs less than $5000, you’re wasting administrative dollars. I had my Vice President of Medical Operations do this calculation annually. If the result was a negative number, we discontinued the PA. This freaked out the Finance guys because they said the Hawthorne Effect was causing the 1% denial rate (the Hawthorne Effect is: when you are watching someone they are more likely to “do the right thing”). To offset this rationale we monitored the frequency of the services every six months. It was rare that they increased. When I left that health plan, they re-instituted all of the PA’s we discontinued, and their costs didn’t go down. Another thing we did was, we set up a website where the criteria for PA approvals was displayed by PA. The provider would check off which criteria had been fulfilled and checked another box stating that the information provided was true and if not the provider would be subject to fraud charges. If the criteria were met, the provider got an immediate PA approval online. They loved this! Within six months of my leaving that health plan, the website was inoperative. Back to the faxing of PA’s! More money spent on administrative costs! Notifications are when a provider, usually a hospital or ER, has to notify the health plan within a set amount of hours that a health plan member was admitted there. It has nothing to do with a PA. If you don’t notify the health plan within the specified time frame, the bill sent to the health plan is denied, the provider loses the revenue for that service. This is essentially an administrative hurdle that health plans know a service provider can’t meet all the time. As a matter of fact, for most notifications, a service provider only meets the time line at most 90% of the time. A health plan can reliably predict they will save 10% of the costs for those services if they implement a notification rule. They often do this without warning. Even if they warn you, they give you a short lead time, knowing you can’t gear up for the notification overnight. I saw this in action in every health plan I was in. Notifications are simply tactics by health plans to save money. But they cost money in administrative costs, especially to the providers trying to avoid a denial. The health plans just have a computerized edit in their IT system, so it doesn’t cost them much if anything. Every time you see a health care provider, they have to check with the health plan to make sure you are a member and you have the needed coverage. More work and cost for the provider. This is obviously sending a bill to a health plan. Nowadays most bills are sent electronically. The bills have to be processed by a “clearinghouse” company, which costs the provider money. The billing requirements can also be different among health plans which can cause confusion, rejected bills, etc. The providers usually challenge any billing rejections, which means there is a department and set of processes for that at the health plan. Just another opportunity to increase costs. This administrative complexity group has become quite onerous. There are federal and state laws, Medicare and Medicaid regulations (for Medicaid there are both state and federal, Medicare is federal), Department of Insurance (state) regulations, The Joint Commission (accreditation) standards, NCQA (for health plans, etc. It’s especially onerous for hospitals, who have entire departments dedicated to maintaining compliance with all of these entities. Just keeping track of all of the requirements is daunting. There is usually a VP of Compliance, compliance officers, and the largest portion of the Quality Department (another reason Quality is #4), all dedicated to this effort. And then, there is the site visit. Each government agency or accreditation agency will come and do a site visit, where they spend up to a week combing through the hospital or health plan looking for “deficiencies” or “findings”. If a hospital gets a warning with lead time that a site visit is scheduled, they stop all work except direct patient care and focus on looking for deficiencies and either fix them or hide them before the site reviewers show up. This delays any implementations or improvement projects. The delay is longer if there are significant “findings” because these have to be fixed within a certain period of time, like 90 days, with the regulator or accreditor doing a follow-up site visit to ensure things were actually fixed. Time virtually stops at hospitals until the second site visit. Health care systems, for some reason, like to impose rules on themselves that increase their administrative costs and burden. This always seemed weird to me since they had enough external rules and regulations to deal with. 1. Either administrators or doctors dictate a task or a process without analyzing the impact. They just pile on one task on top of another. Soon, the administrative work gets in the way of taking care of patients. Here’s one showing how rules get in the way of taking care of patients. At a medical group in which I saw patients, there was the “ten minute rule”. If a patient was ten minutes late for any appointment, they had to reschedule. They were pretty strict about this. They weren’t concerned with what patients were going through or why they were coming in. Maybe their baby had a diarrheal BM just as they were getting in the car. Maybe they had a flat tire. Maybe the traffic was horrendous. Didn’t matter. FYI, I never followed this rule unless, when I was a PCP, a patient was a chronic no-show or always came late. Then we warned them that if they came late and their problem wasn’t acute, they would be rescheduled. This rule got in the way of taking care of patients. Who knows what might happen to them between the day they were asked to reschedule and the rescheduled day. 2. The Legal Department or Compliance Department institutes tasks or policies to “minimize legal risk”. Most of these raise provider administrative costs. In any state I’ve practiced, an Advance Practice Clinician (Nurse Practioners, Physicians Assistants) can see patients without a physician present as long as there is some formalized oversight process. In one health care system I worked in, the legal department pushed the rule that a physician must be on site for an APC to see patients. This really played out negatively in Urgent Care. At one point, they didn’t have enough doctors to man the Urgent Care (UC) centers for all the times the UC center were advertised to be open. This resulted in the UC centers closing at times. This rule increased administrative costs (because the higher priced physician had to be present) and they lost revenue when there weren’t enough physicians. Here’s another Urgent Care one. In all of the UC centers at one health care system, all of the doctors and APCs had to be Advanced Cardiac Life Support and Pediatric Advanced Life Support certified (ACLS and PALS). These certify practitioners to run Codes (like Code Blue’s). This alone cost money because, since it was required, the UC centers had to pay for the certification courses. These are every two-year certifications. The UC center didn’t run mock codes to keep practitioner skills up. There were rare Codes in the UC centers. Some practitioners who had been there for years had never run a Code. The literature says just doing high quality Basic Life Support (BLS) until a patient gets to an ER has better outcomes than doing codes in the field. Plus, because there weren’t many Codes in the UC’s, the drugs in the crash carts expired and had to be thrown away and replaced with new drugs (costly). Since we were in a big city and the ambulance response times were less than 10 minutes, it was possible to discontinue ACLS and PALS, train staff in BLS and remove the crash carts from the UC centers saving a ton of money. As a matter of fact, when I was in a different state, our legal department advised us that we could do that, and we did. The median response time is six minutes and the average was seven minutes for urban and suburban (we were in urban). The worst response times were 12-14 minutes in urban and suburban. The Legal folks for these UC centers would not even give an opinion about discontinuing these things. Their stance was, it was better to keep doing what was being done. After all, the providers were certified, weren’t they? I’m sure I could have shredded their argument in a court. Me, “Doctor, when was the last time you had to run a Code?” Doctor, “When I was in training.” Me, “Never at the Urgent Care Center?” Doctor, “No, sir.” When was the last time you participated in a mock Code at Urgent Care?” Doctor, “Never.” Me, “What dose of epinephrine do you give a 3 year old with V-fib?” Doctor, “I don’t know, I’d have to look it up. We have posters on the wall of the procedure room to remind us.” Me, “What if the patient is not in the procedure room?” Doctor, “Uh, I dunno. Ask a nurse to run there to find out?” Urgent Care settles out of court. What?!?? The compliance officer is a mind reader? Every time this happened I eventually got to actually asking the regulator to validate their regulation, including the “intent”. 100% of the time, it was exactly what the language said in the regulation, not what the compliance officer was advocating. If I just went along with the compliance officers, I’d have increased administrative burden on my staff for no reason. And add administrative costs to the health plan’s premiums. This one story is even worse. According to DOI regulations, if a health plan denied a medical service in process, like a patient is getting physical therapy visits and the concurrent review nurses advise the Medical Director that the case doesn’t meet medical necessity requirements anymore, then the member had to be notified in writing that further Physical Therapy visits would be denied. At the same time, as a value-added service (purportedly, to reduce health care costs) health plans offered Case Management services to members, which is not considered a medical service, it’s an administrative service. A compliance officer was talking on the phone to a staffer in the DOI who was a member of our health plan. and had been in case management. As is typical of case management, when the person met their case management goals, their enrollment in case management was discontinued, which was relayed to him verbally on the phone. He told the compliance officer that it would have been better if he had also gotten a letter. The compliance officer came to my staff and told them they had to send letters to members when their case management was being discontinued, that the DOI had told her we must do it. This would have added administrative costs. I de-bunked that one, too. There was no DOI requirement that we inform members who are discharged from case management in writing. We didn’t do it. You have no idea how many times the legal and compliance folks convinced the administration that we had to do something we didn’t have to do to the point that it interfered with getting business goals accomplished, with no credible foundation for their opinions. This is another flaw in health care administration. Because health care administrators are usually C-players (subject of another post), they defer business decisions to their lawyers, which should never happen. Lawyers are called “counsellors” for a reason. They are supposed to counsel business owners on the risks, “loopholes”, etc. in the laws pertaining to the business situation at hand. A business owner should always make the business decisions. Never lawyers. Needless to say, the compliance and legal folks didn’t like me. But I did minimize administrative costs for the health plans, our members and our network providers. Too bad it never lasted after I left. Practices that, either directly or indirectly, result in unnecessary costs to the Medicare Program. Abuse includes any practice not consistent with providing patients with services that are medically necessary, meet professionally recognized standards, and are priced fairly. Commercial health plans basically follow these rules, just insert the health plan name where it says Medicare. Well, we already know the “priced fairly” element is violated all the time but no one is held accountable. Anyway, there are several things that go on that could be categorized as fraud and abuse that you rarely, if ever find on the Internet. It turns out, no one seems to know the full extent of fraud and abuse (F&A). This is because insurance companies don’t know if F&A occurs until they find it. They generally have no systematic, accurate way of finding all of it. A lot of times it is either a whistleblower or the folks doing the frauding get so outrageous you can see an unusual blip in claims payment reports. Most reports on F&A are about recoupments of what was found, not the actual total of what was actually F&A. So, you’ll read about how much Medicare recovered in a year. You might get estimates of what some actuarial institution think is the amount of F&A going on. So much so that the FBI estimates that F&A billings are generally between 3 and 10% of the total spend. So, since the USA spends about $3 trillion a year on health care you’ll see estimates of between 90 and 300 billion dollars a year. Quite a spread. As a Medical Director of several health plans, I can tell you this is true. They don’t know how much F&A is going on, just how much they found. Then how much they “recouped”. They had the same problem with provider contracts. They knew, pretty much, when they underpaid a provider, because the providers would file a complaint. They didn’t know when they overpaid providers because; guess what, when providers were overpaid, they rarely complained to the health plan. They played the odds that the health plan wouldn’t figure this out. Here are some true stories. There was a physician group in the network of a health plan I worked for who signed a capitation agreement with the health plan. This meant, they got a fixed lump sum per member of the health plan that was assigned as a primary care patient of the physician group. The contract configuration department in IT forgot to shut off the fee-for-service switch in the claims payment system. The physician group got paid both capitation and fee-for-service for six months before someone in the claims department figured it out. It’s hard to comprehend that the accounts receivable folks at the physician group didn’t notice this, getting large monthly checks in addition to their capitation payments. Or how about the physician group’s finance department? Oh, sorry, we’re talking about those finance folks again. Of course they’re going to be happy about more cash coming in. Let’s roll the dice!! They owed $1.5 million after six months. Most of the overpaid (against their contract) “abusers” are specialists. When you go to their offices and explain how they were overpaid, they act shocked and surprised. I actually started thinking that maybe, at conferences specialists go to, they have a seminar on how to act surprised when the health plan comes and tells them they’ve been overpaid! In one health plan, a specialist group was overpaid for 3 years and owed several million dollars. After the shock and surprise, they then cried about how hard it would be on their business to give the money back. I guess they have crying seminars, too. What really should have happened is they should know when they are being overpaid and report it to the health plan, just like when they figure out that they are being underpaid. That always amazed me how underpayments were easily detected by providers but overpayments weren’t. Always sounded fishy to me. Here’s another one. I joined a health plan who had been in the Medicare Advantage business for about 2 years. I’d been involved with Medicare Advantage-type programs (they had various names over time, like, Medicare Risk plans) for about 15 years. At the first Medicare meeting I went to, the staff and finance folks were complaining about excess costs in out-of-network hospitals because, since the hospitals were out-of-network and didn’t have a contract with the health plan, the health plan had to pay full billed charges for admissions, ER visits, tests, etc., at those hospitals. The meeting was a steering committee and had legal and compliance folks on it. I told them, my understanding was, if a hospital is a Medicare certified hospital (which >90% are), they can’t accept more than Medicare rates for any Medicare beneficiary. The staff, backed up by the legal and compliance folks, said I was wrong, they had the Medicare directive about this. They had to pay billed charges. I asked them to bring it to the next meeting. At the next meeting they brought copies of the directive. It was an internal-to-the-health plan document that had nothing directly from Medicare in it. I told them that it wasn’t acceptable; I wanted the actual Medicare rules describing this. At the next meeting they all came in with sheepish grins, as I had been correct. They had the Medicare rules describing exactly what I said (See why I have an issue with these legal and compliance folks?). Anyway, the Medicare staff immediately got reports from finance and proceeded to “recoup” all of the over payments by re-processing the out-of-network hospitals’ claims against the Medicare fee schedule and demanding a refund of the difference between the fee schedule amount and the hospital’s billed charges (which you know now are incredibly whimsical and over-priced). We got millions back. The thing is, all of those hospitals knew they were being overpaid. They said nothing. When the health plan figured this out, the legal and compliance folks didn’t pursue reporting them to Medicare because they paid the health plan back. That’s sort of like capturing a bank robber who hadn’t spent any of the money and letting him go because you got the money back. Isn’t it? So you can see why the F&A numbers can be spurious. Here’s another provider abuse issue that no one can enforce. Some providers have patients come back to their office more often than they need to, just to increase their revenue. You can see this in utilization reports where some providers have visits per year for some conditions that are 3-4 times the majority of the providers in that field (could be physician, Physical Therapist, whichever). No one seems to be able to do anything about this except tell the provider they are variant and asking them to stop doing it. Isn’t that abuse? “Not medically necessary”? DME (Durable Medical Equipment) providers use this tactic. They get a prescription for oxygen therapy for a certain amount of time. The time runs out and the physician doesn’t renew the prescription. The DME provider doesn’t go to the patient’s house to pick up the oxygen unit and keeps billing the health plan. The health plan doesn’t know the physician didn’t renew the oxygen. Several months later, the DME company picks up the unit, but has now billed the health plan for several months of unnecessary charges. Usually a health plan finds this when they do benchmarking against national utilization statistics. Isn’t this abuse? I’ve never seen a health plan report a DME company for this. Isn’t that “not medically necessary”? This one is one that really irks me. It’s been going on since I first started being involved with being in capitated physician groups and the insurance industry. A patient gets admitted to a Psychiatric Hospital. The hospital figures out what the health plan’s hospitalization benefit is. Like, let’s say four weeks. They keep the patient in their hospital for the full four weeks whether the patient needs it or not. They discharge the patient on the last day of coverage. Six months later, the patient again needs hospitalization. The hospital refuses to accept the patient because the patient has no insurance coverage for it. The Skilled Nursing Facilities and Acute Rehabilitation facilities do the same thing. They know the coverage limits, usually a number of days, that the patient has for their services and keep the patient until they exhaust their benefit, whether they need the services or not, then discharge them. They technically meet “medical necessity” because medical necessity is based on the number and type of services being provided, not the functional status of the patient (which is assessed by the staff in the offending institution anyway, no external party assessment). Result? Wasted health care dollars for, really, unnecessary services. OK, that’s enough for F&A that’s not considered F&A by health care providers. Then there are patients committing F&A. What? A patient can commit F&A? Yup. There are two ways. The first is, when applying for health insurance that gets “underwritten” (meaning the premium is based on the patient’s personal “profile”, like how many conditions they have, age, gender, etc.) which, in turn, determines the amount of their premium. This will be a common occurrence if the Republican Obamacare repeal and replace plans go through. What happens is, people lie on their applications to get a better premium rate. This is not an uncommon happening. As a Medical Director, I had to review cases that the F&A unit nurse staff couldn’t determine were true fraud cases. So I saw this personally. The second is, people give other people their insurance card and some of their credentials, like a driver’s license, and have the other person get health care services on their health plan. This occurs in Commercial plans to some minor extent, but it is more prevalent in Medicaid in states where there is a fair amount of uninsured or under insured folks. Poor neighbors “helping” other poor neighbors. FYI, the health plans have a lower threshold for filing charges with the Attorney General for patients than for providers. Yes, stricter with their customers than their business partners. Imagine that! So, that’s my take on Fraud and Abuse. Or, when is fraud and abuse not fraud and abuse? Or, providers and patients behaving badly.